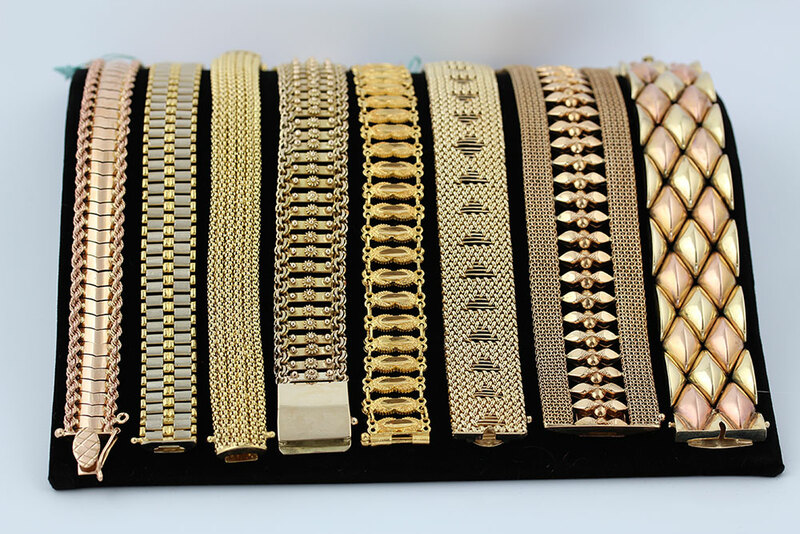 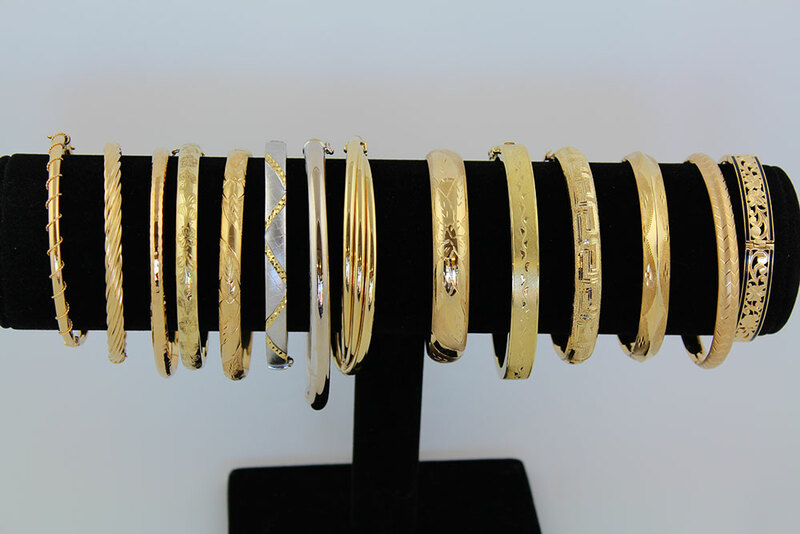 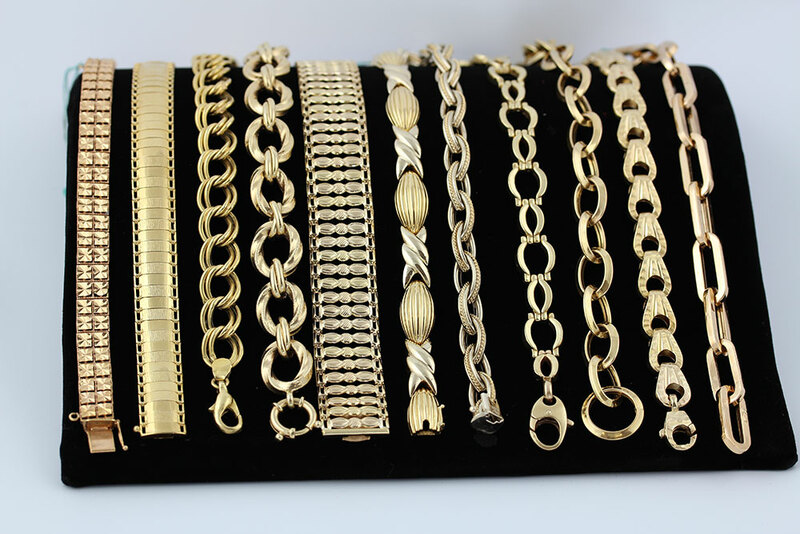 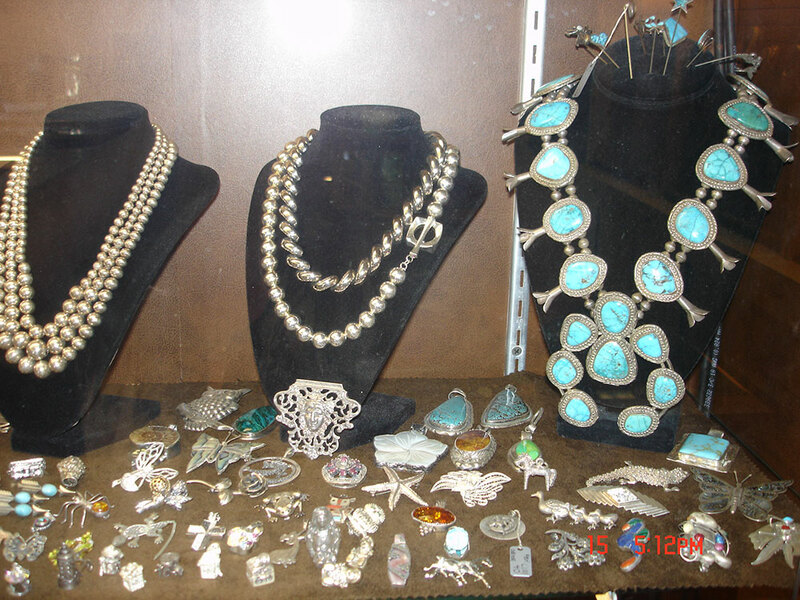 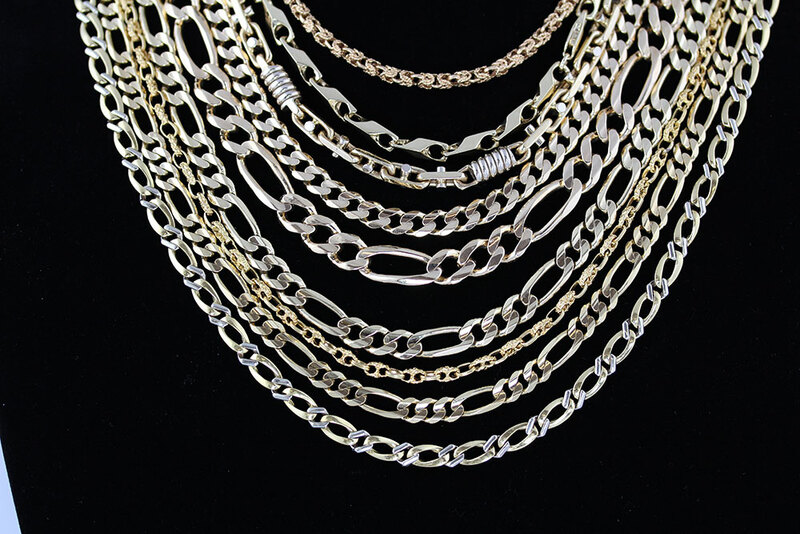 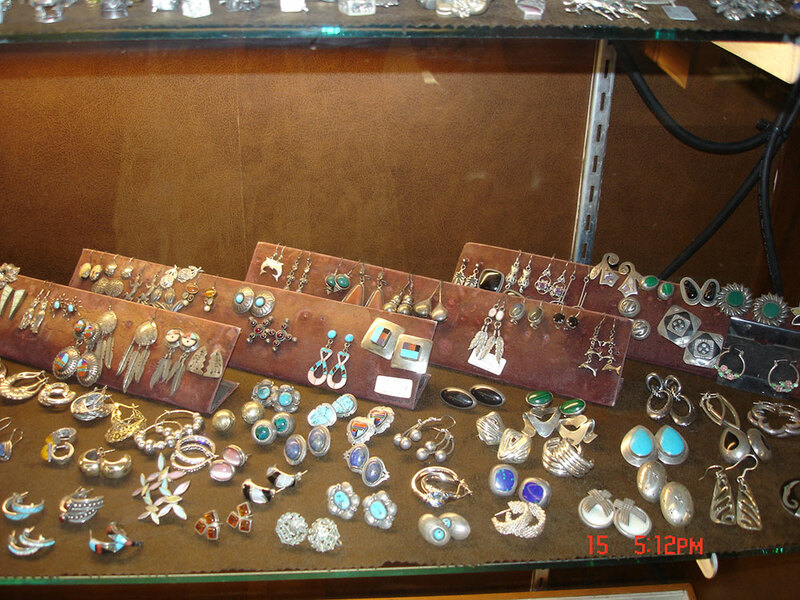 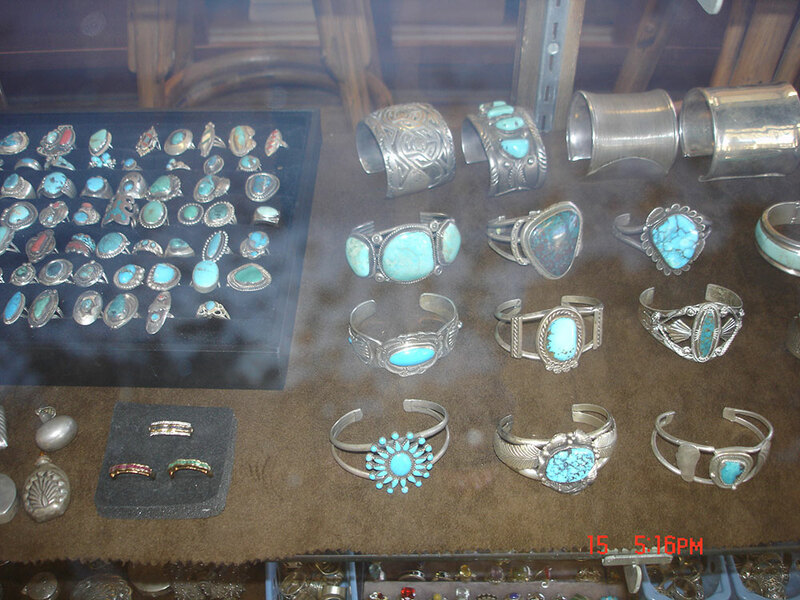 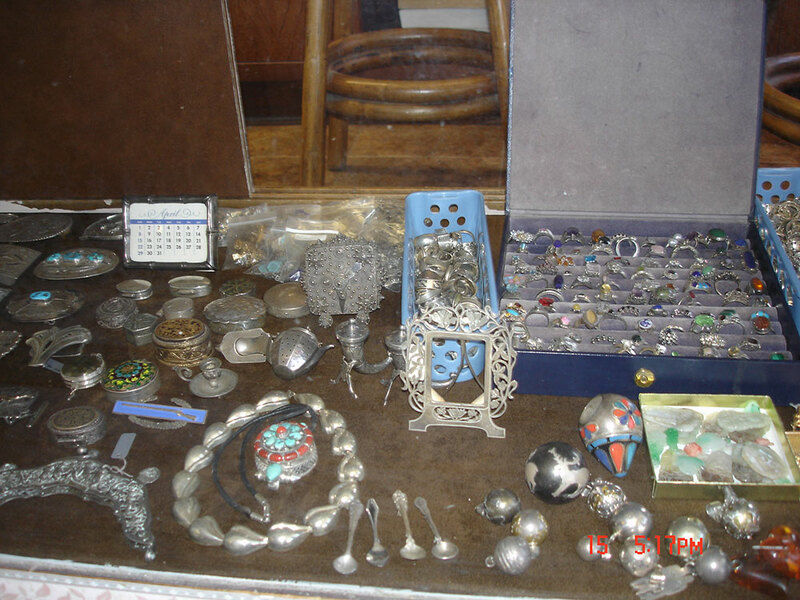 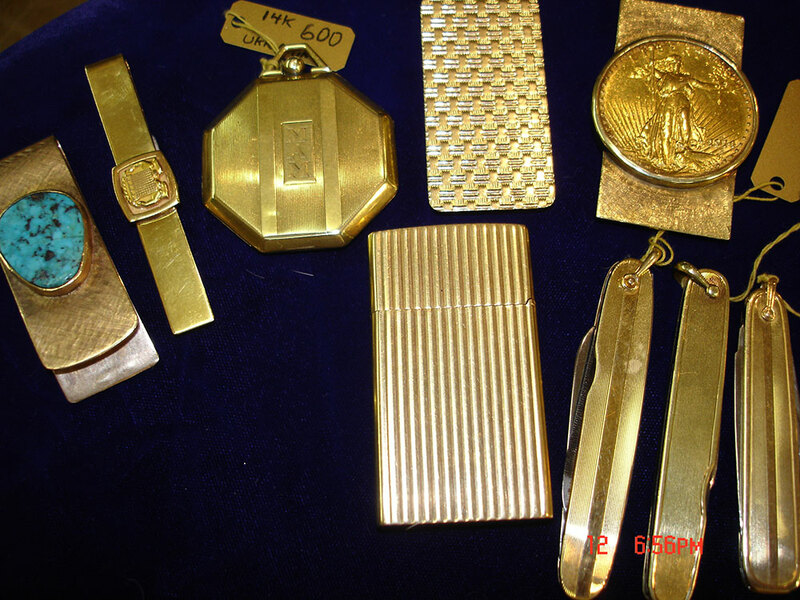 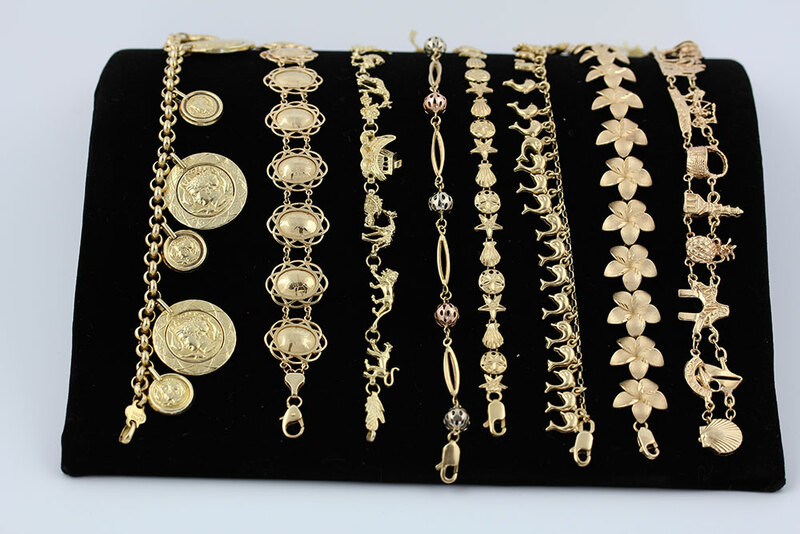 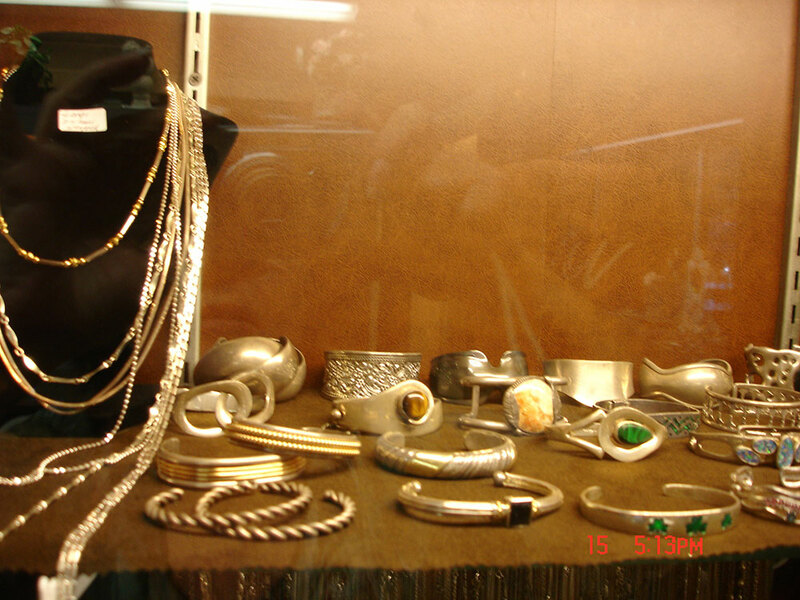 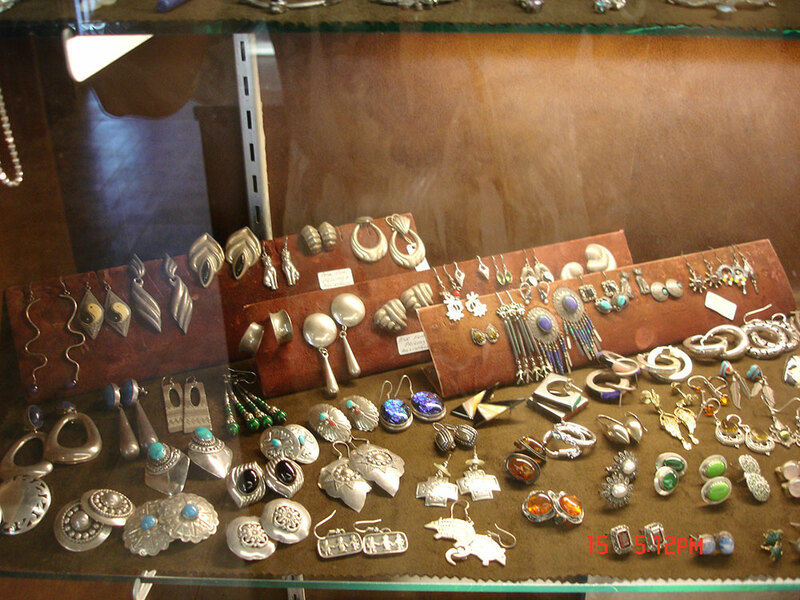 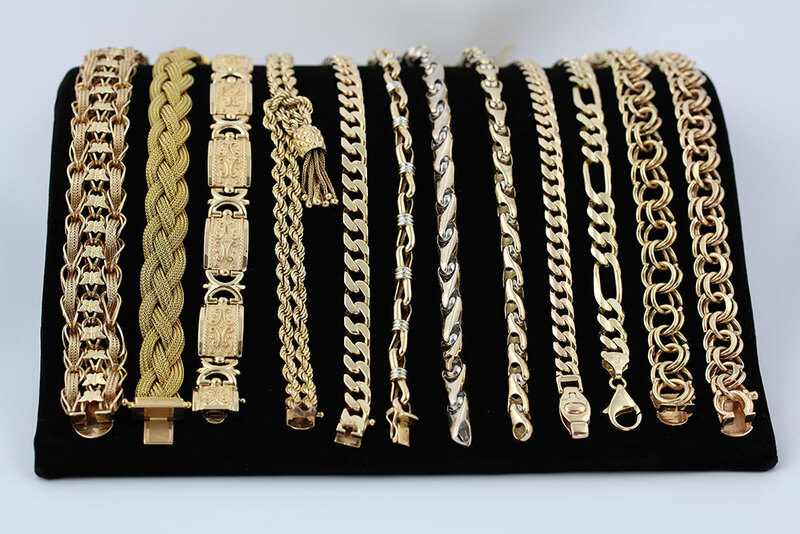 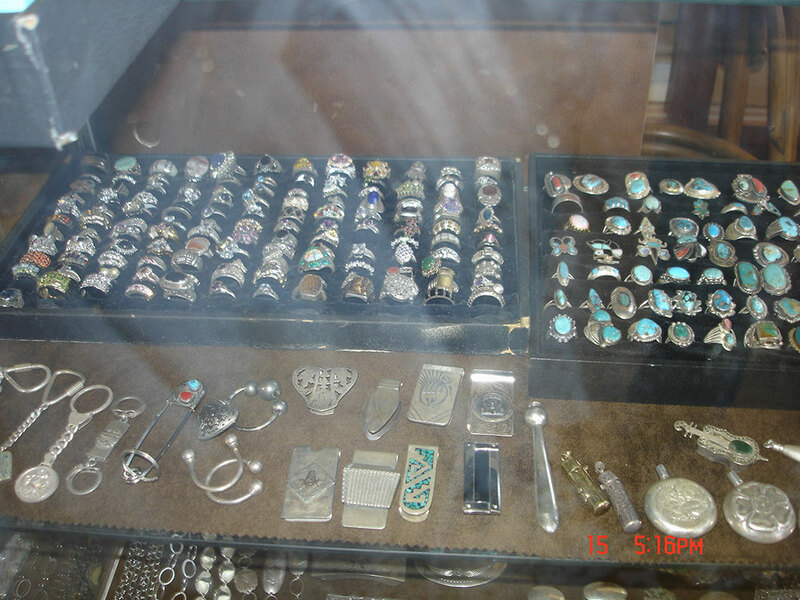 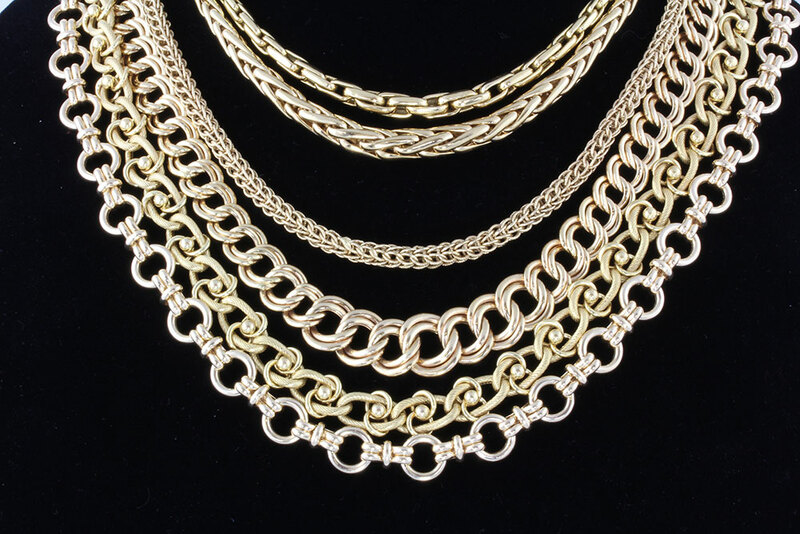 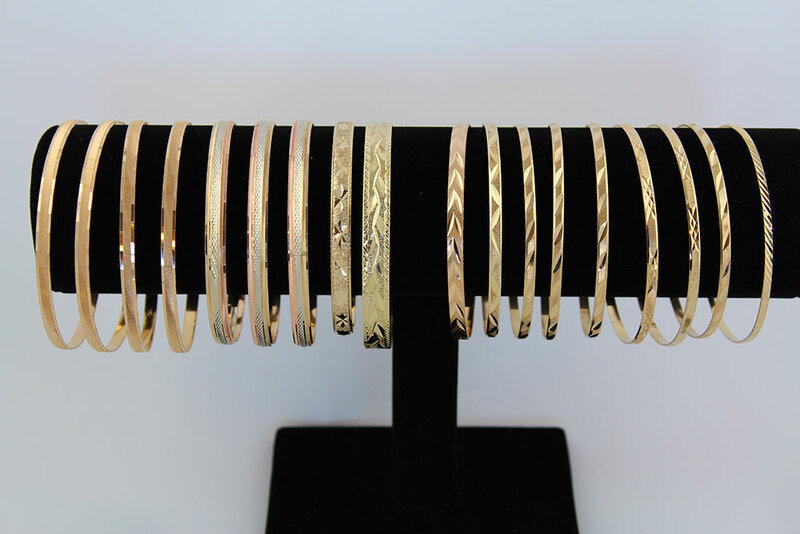 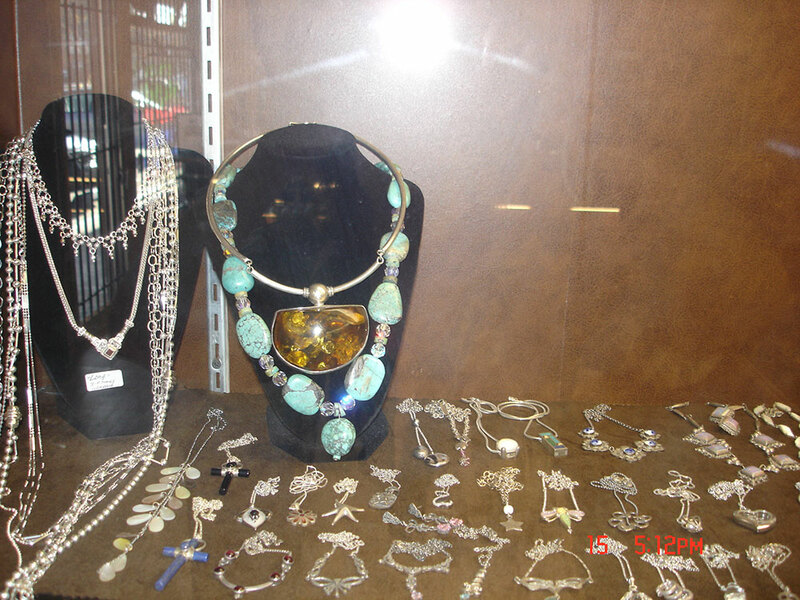 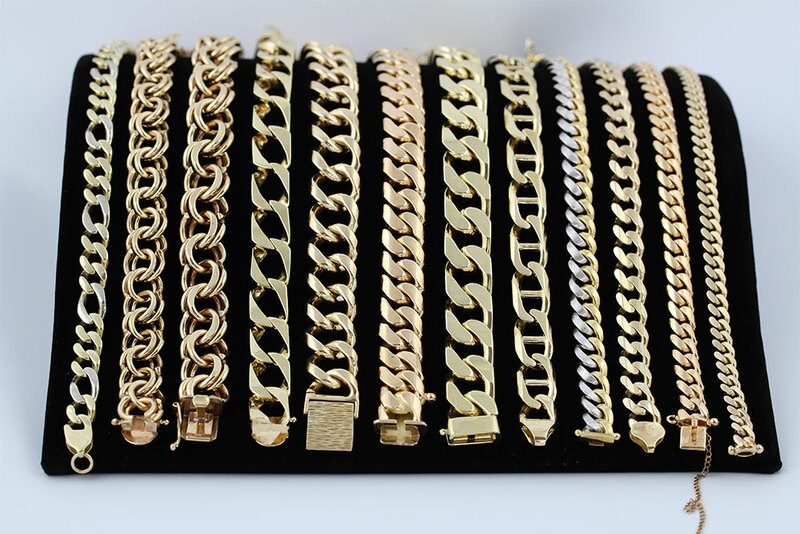 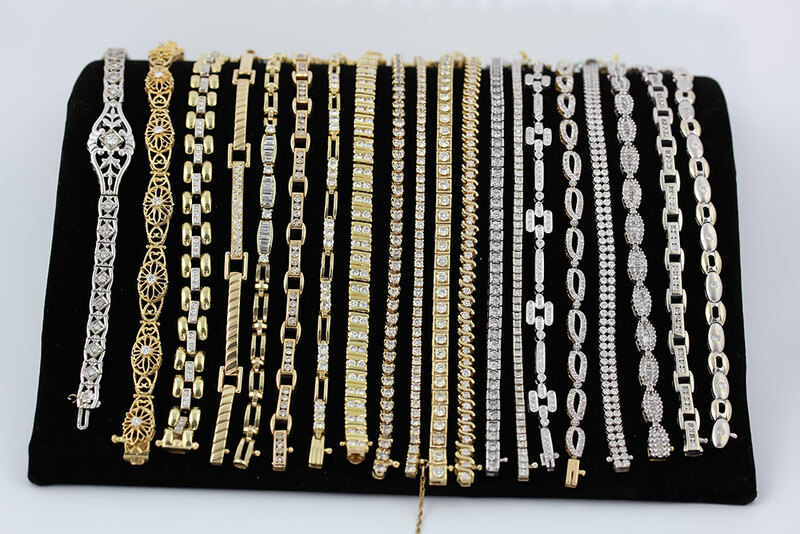 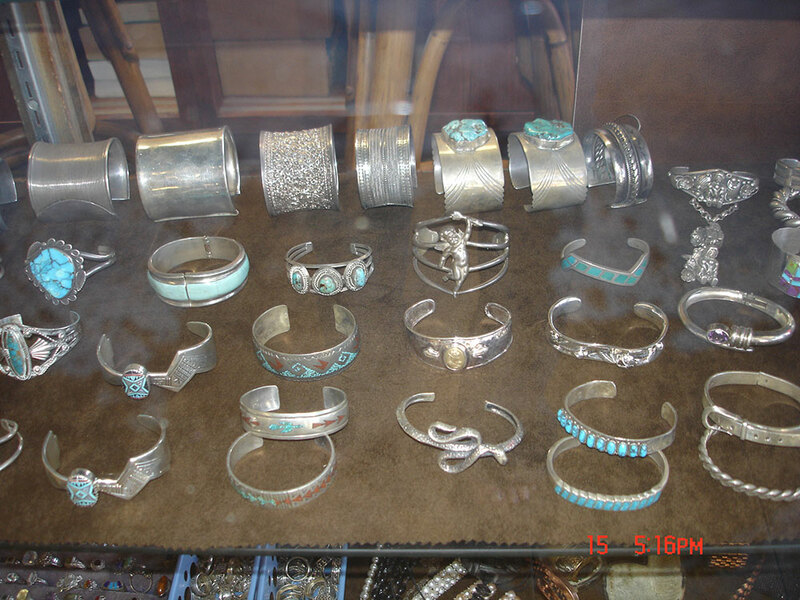 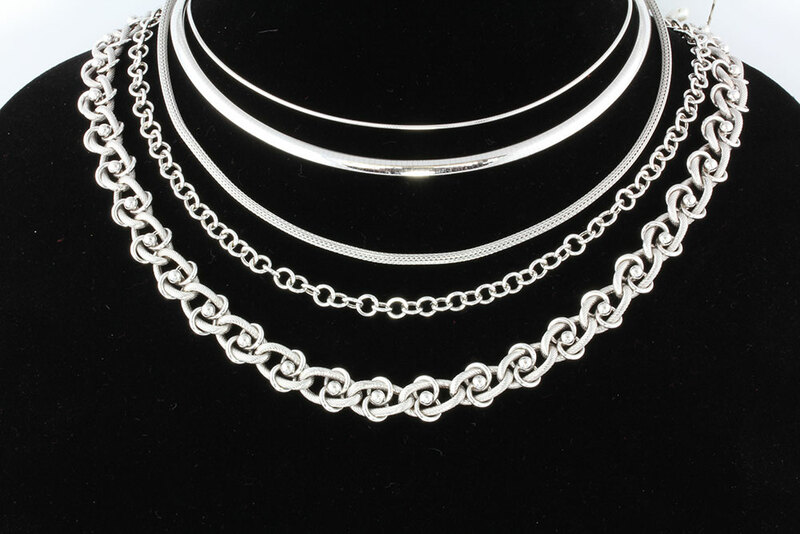 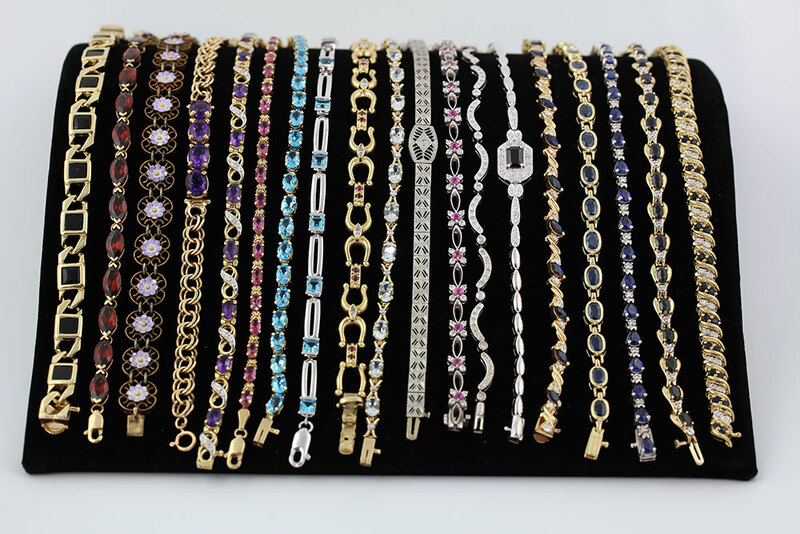 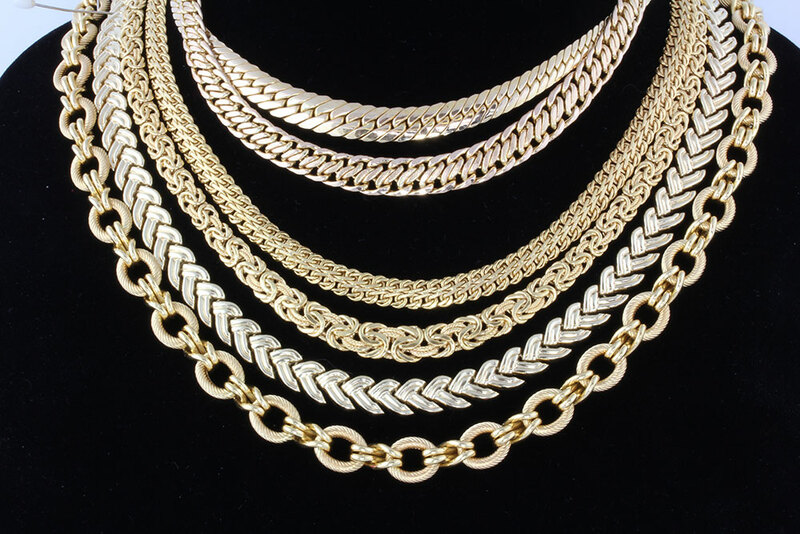 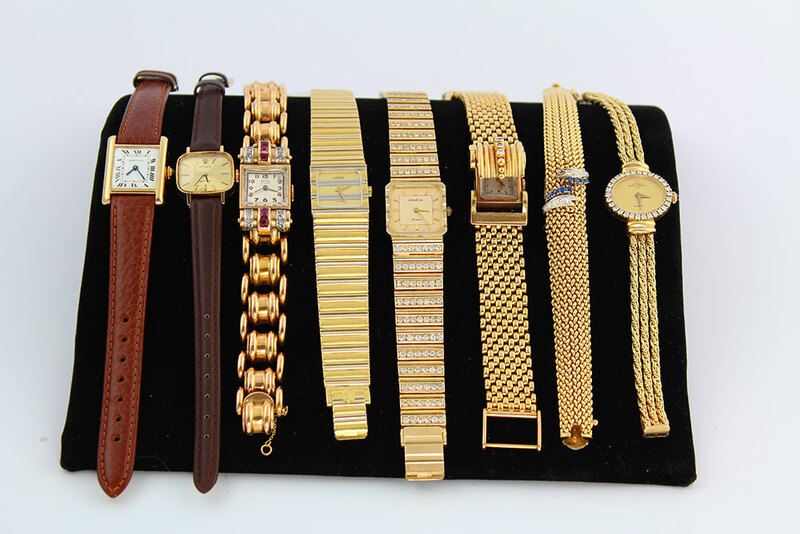 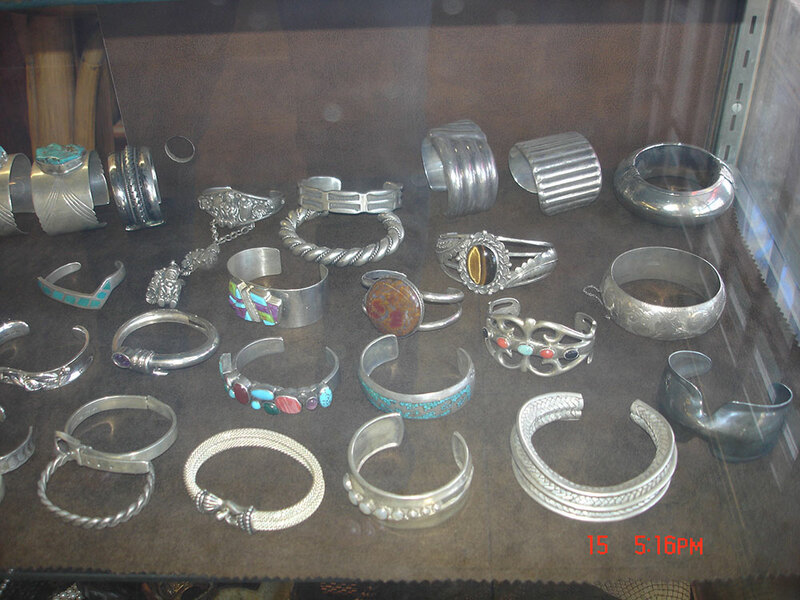 ENCINITAS COIN & JEWELRY has been specializing in BUYING & SELLING Jewelry, Sterling Flatware & Holloware, US Coins & Gold, Silver & Platinum Bullion, since 1976. 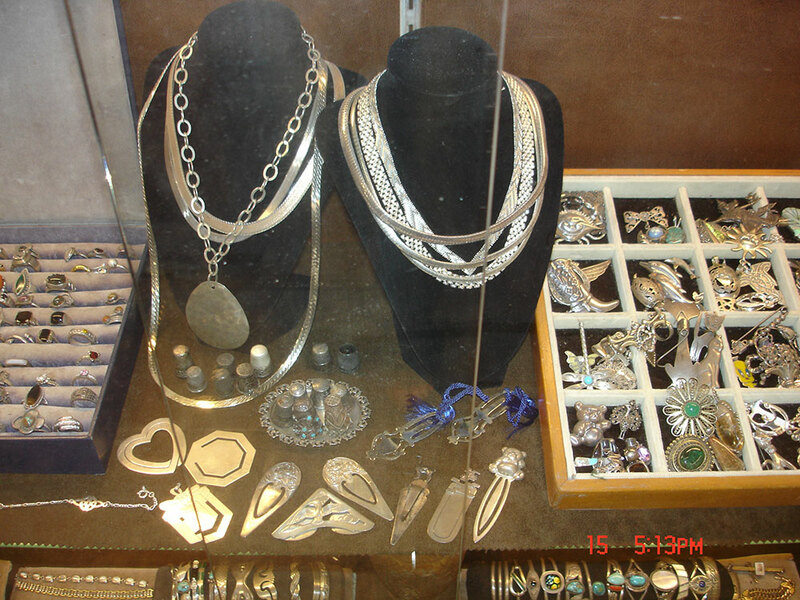 We are located in the quaint coastal town of Encinitas, in North San Diego, CA. 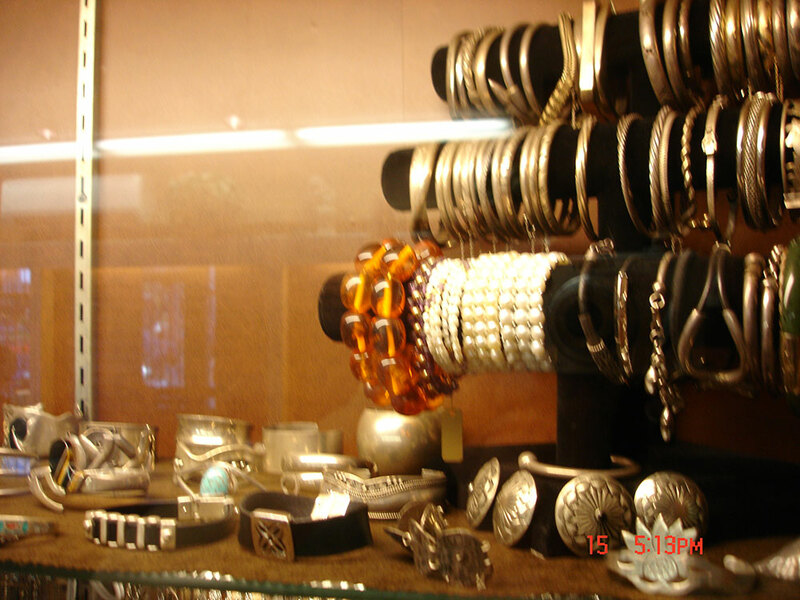 Inside the fashionably remodeled storefront, you will find a newly decorated interior filled with a virtual treasure trove of hidden gems. 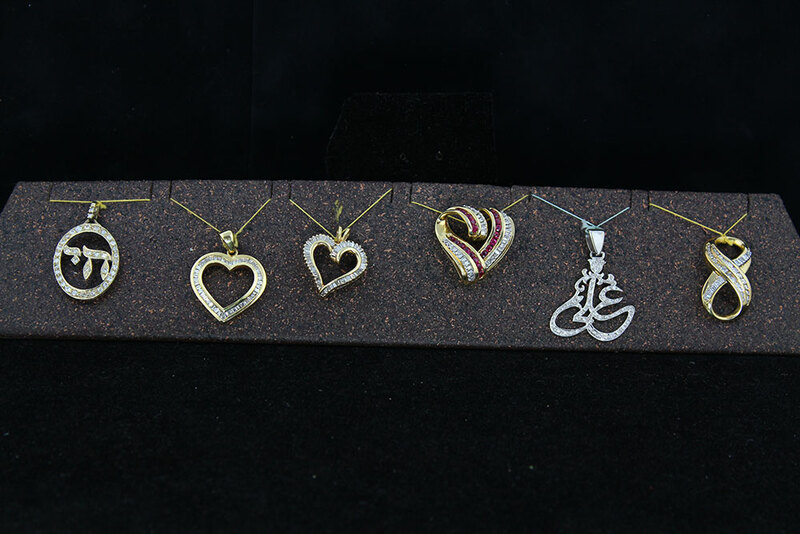 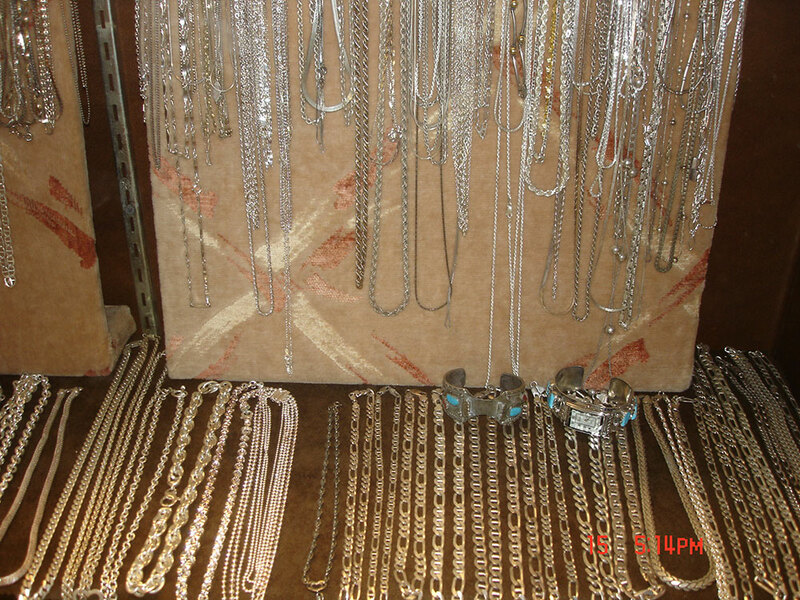 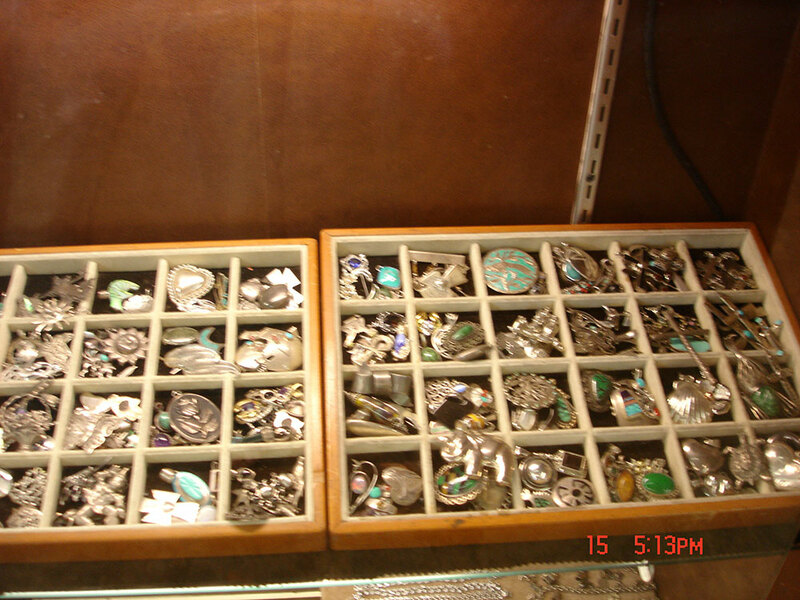 Our inventory has changed drastically since web posting. 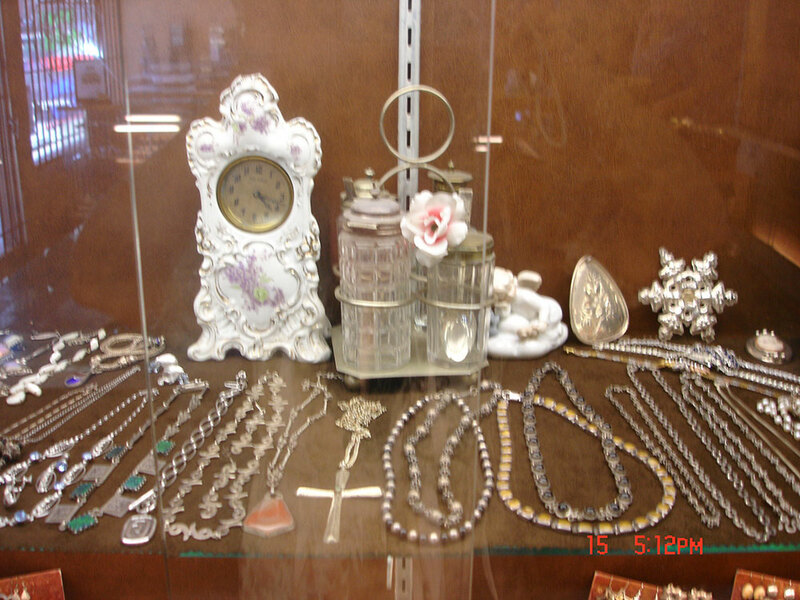 PLEASE come visit our store & be amazed at the variety of new & refurbished treasures! 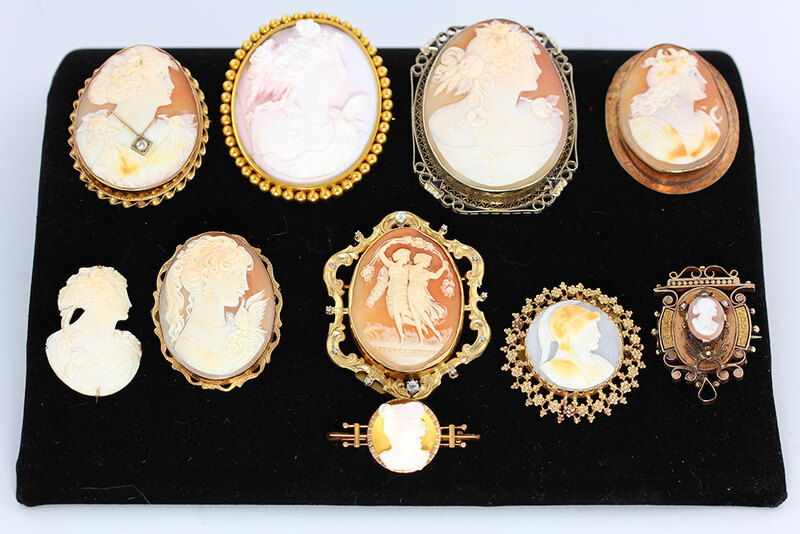 Stroll through history, as you see a broad spectrum of styles & time periods from the past to present day, including Victorian, Art Deco, Art Nouveau, Edwardian & Retro, Classic & Traditional, to Modern & Contemporary. 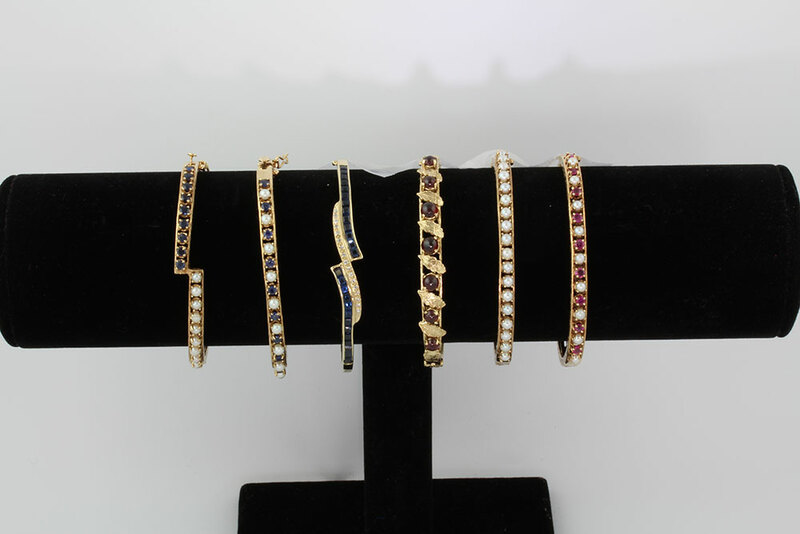 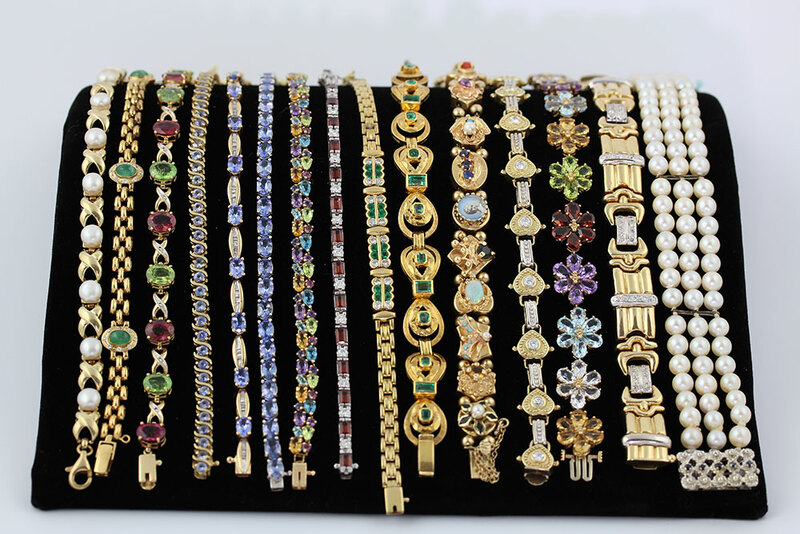 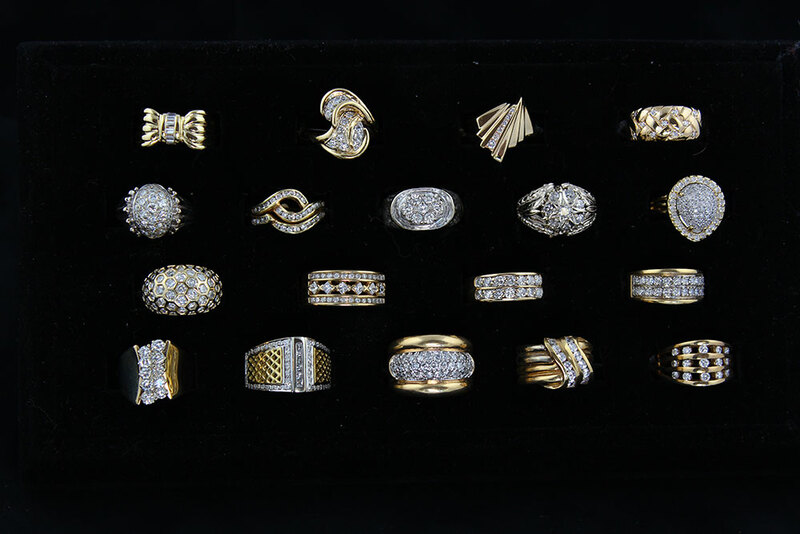 Craftsmanship of most ESTATE JEWELRY exceeds the workmanship found in your typical jewelry chain store and is priced at a fraction of full appraisal, offering an exceptional value. 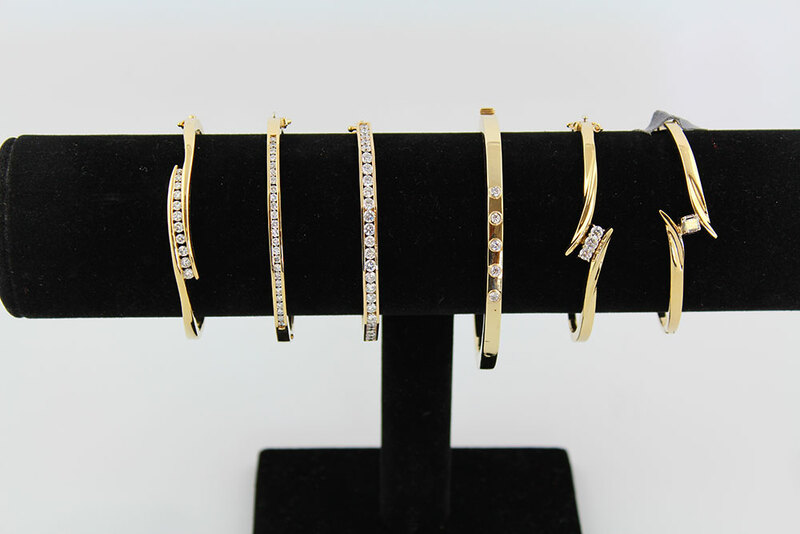 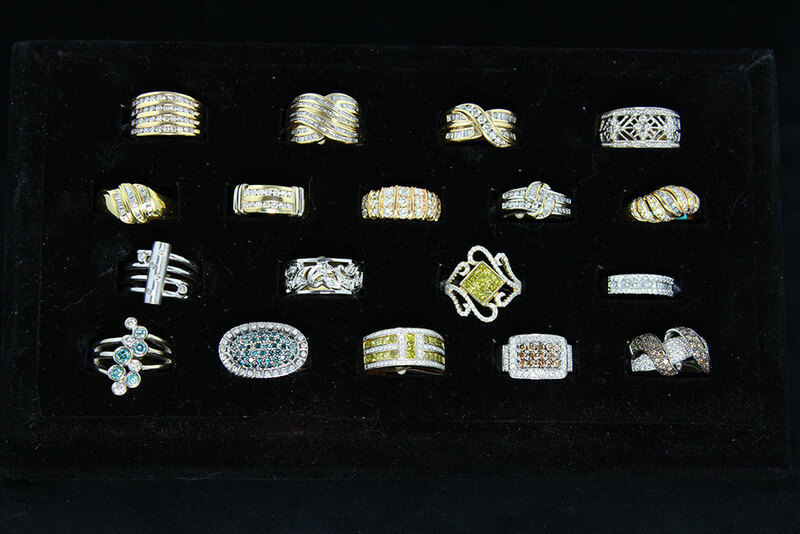 We have something for everyone’s taste & budget, from fabulous sterling silver jewelry starting at $20 to exceptional gold, platinum & multi-carat diamond engagement rings affordably priced, and everything in-between. 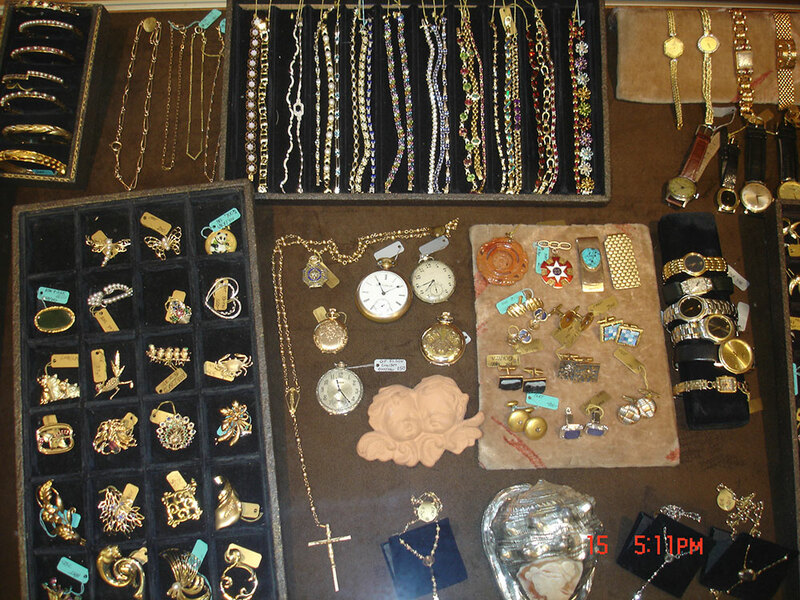 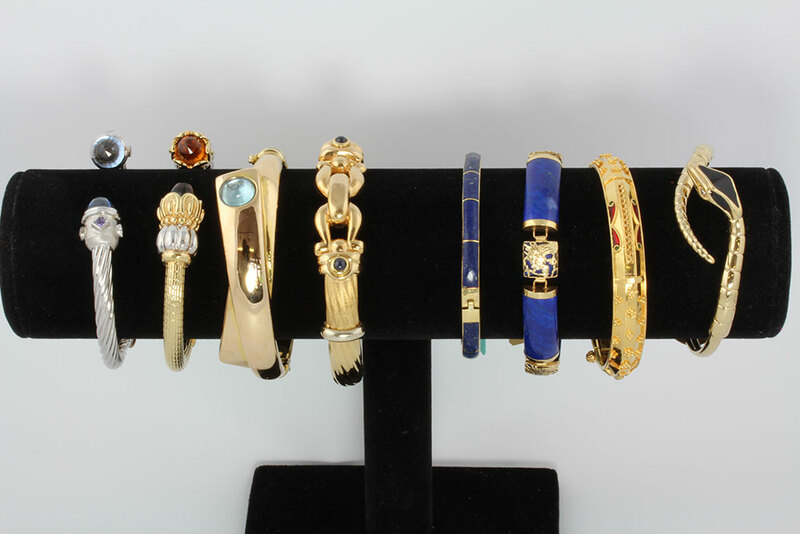 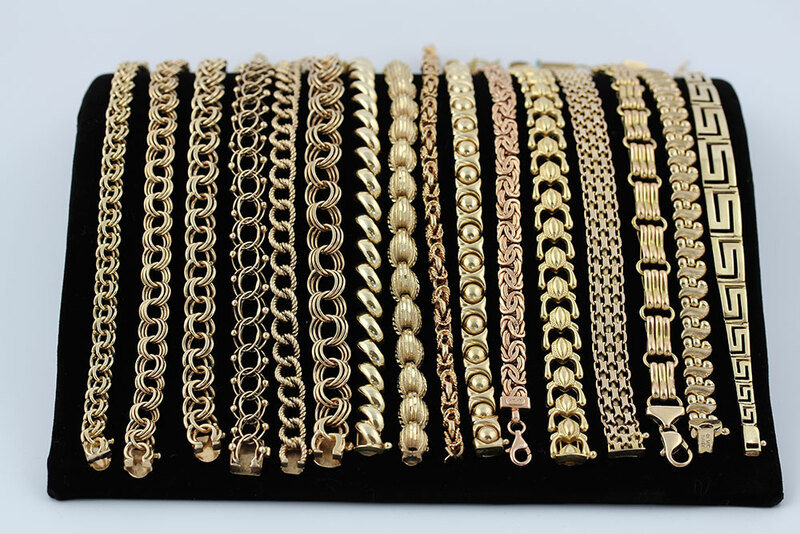 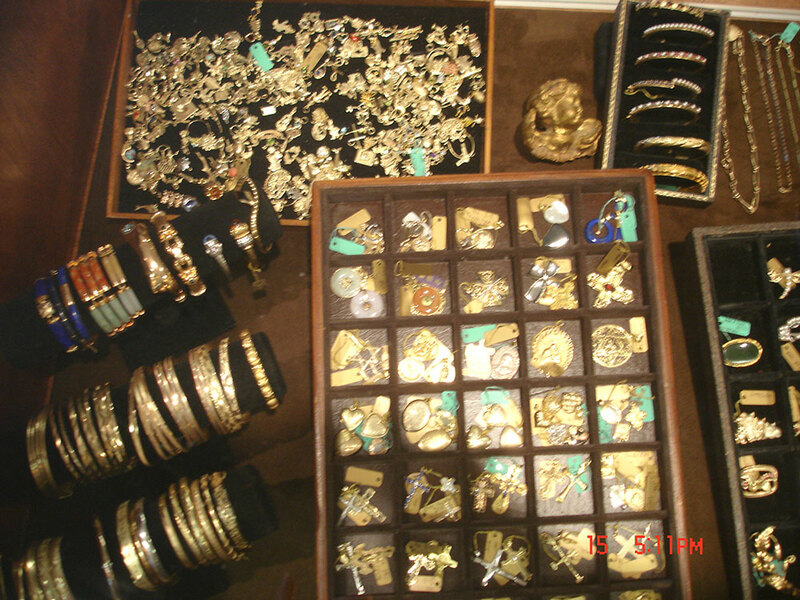 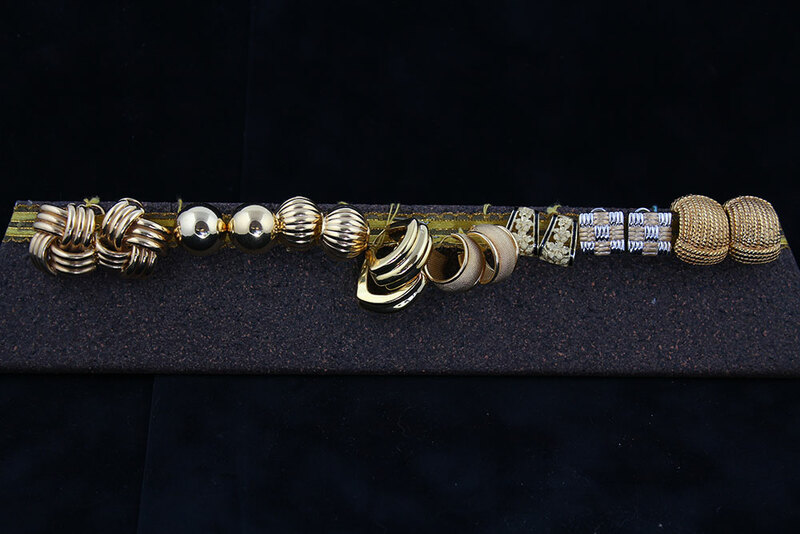 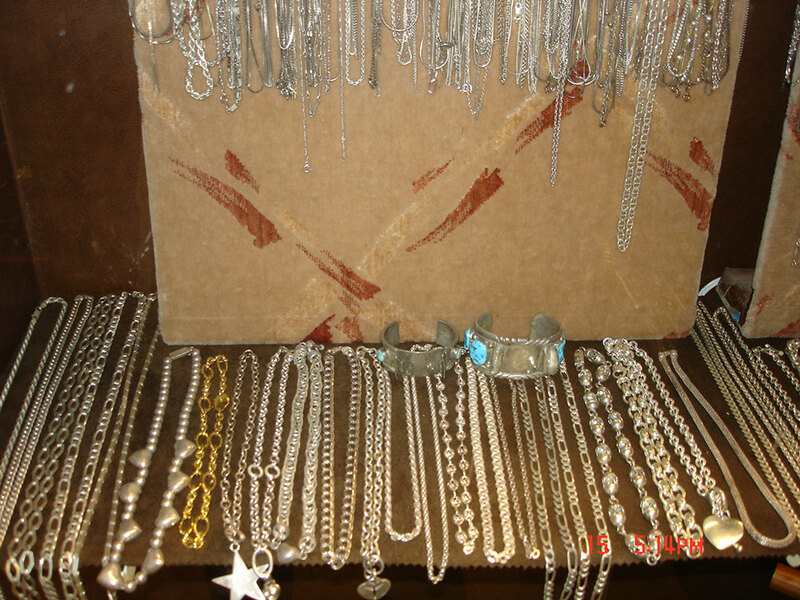 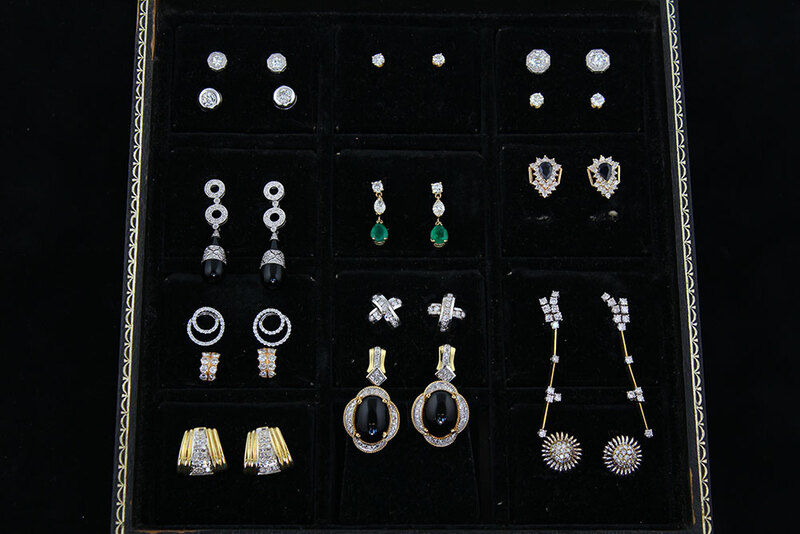 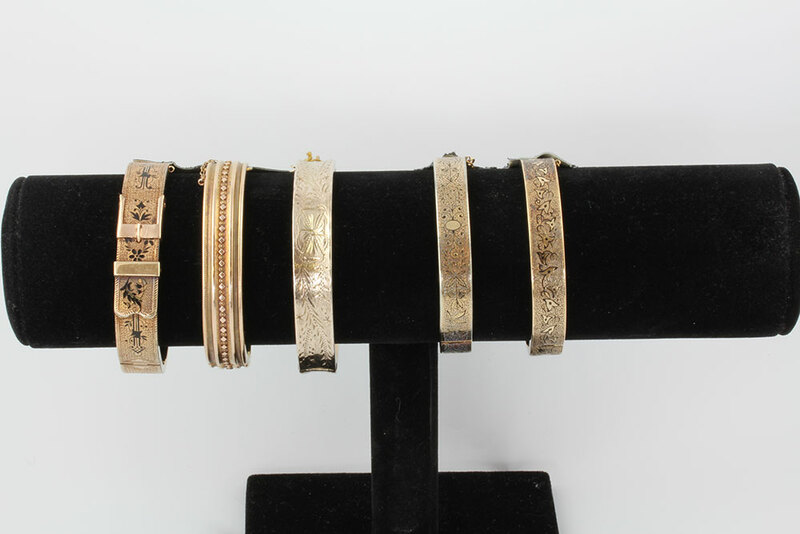 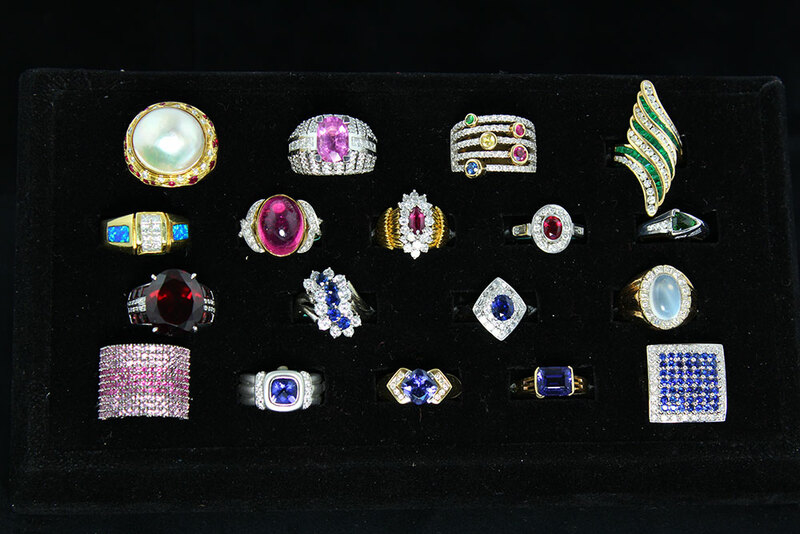 Find hidden treasures by Jewelry Designers such as Cartier, David Yurman, Piaget, Rolex, Tiffany and Van Cleef & Arpels. 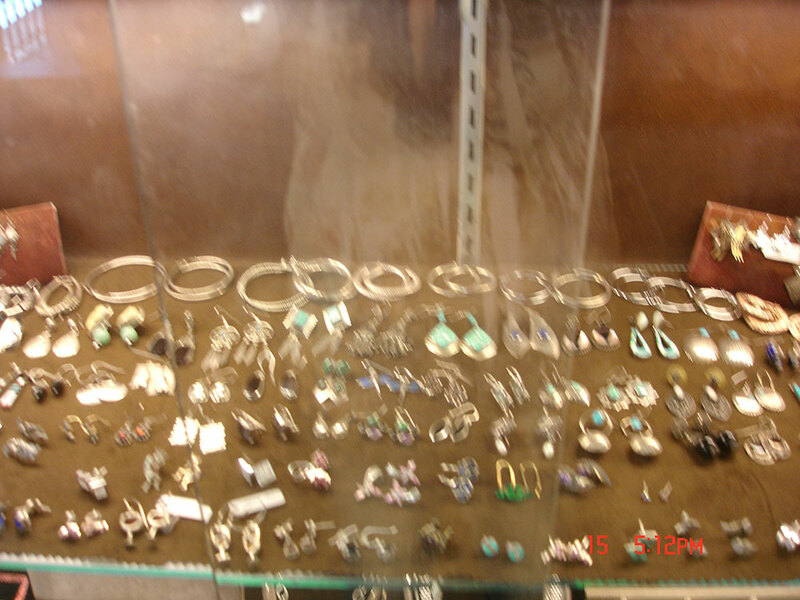 The distinctive shop is family owned and operated by Vicki Bass, and assisted by her 3 sons Sean, Brian & Cory. 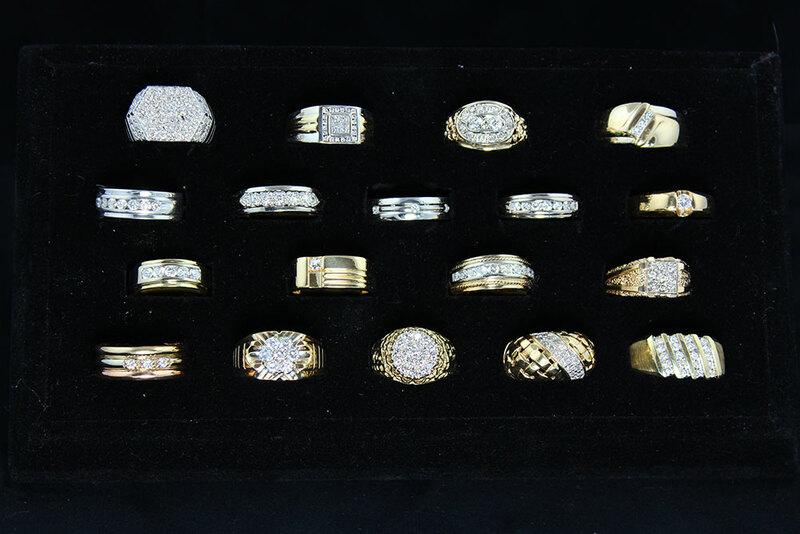 For 41 years, the Bass family has built a solid reputation with our customers based on the quality of our merchandise, our honesty, and fair prices- whether you are the buyer or seller. 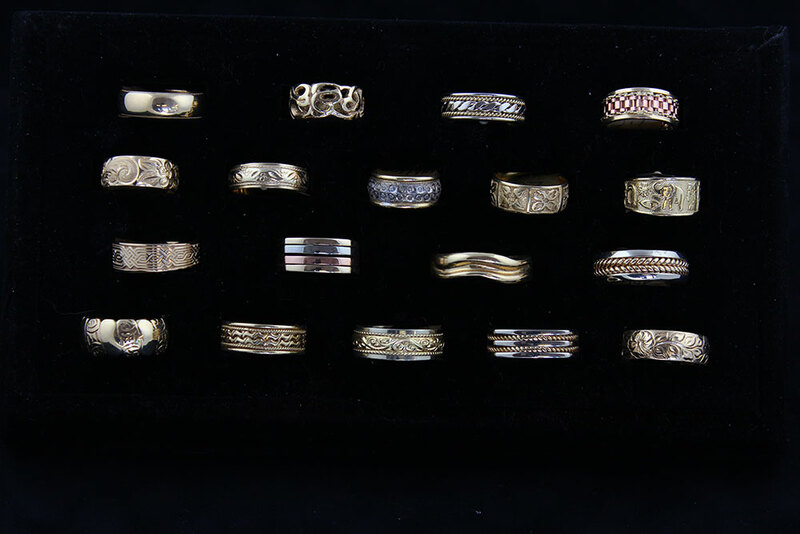 Our friendly, knowledgeable family is waiting to assist you in buying, selling for cash, or trading-in and/ or trading-up towards your new heirloom piece selected from our showroom floor! 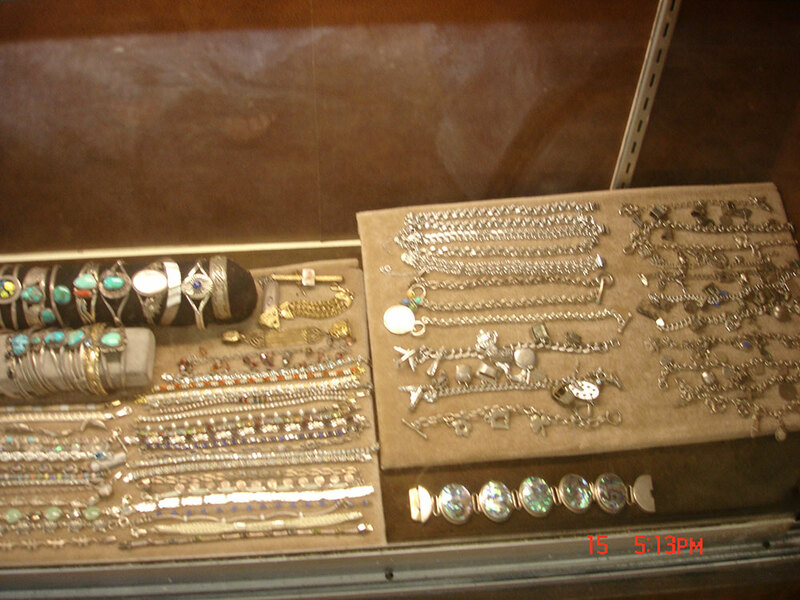 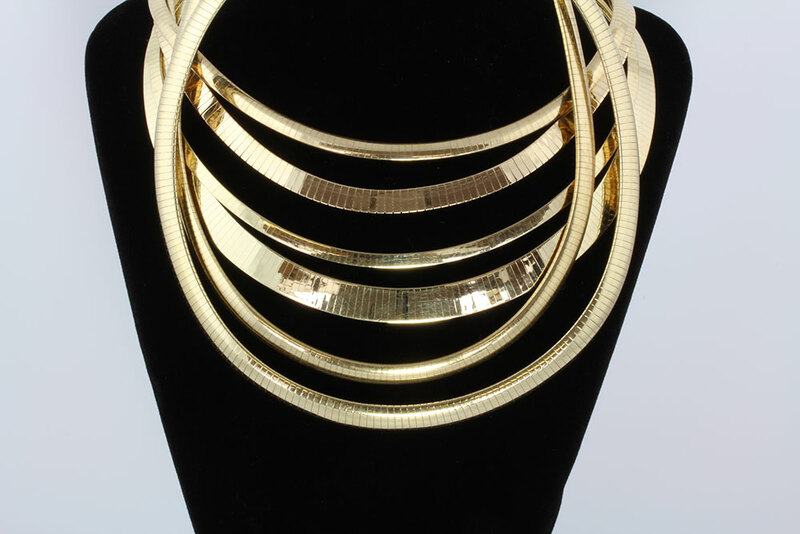 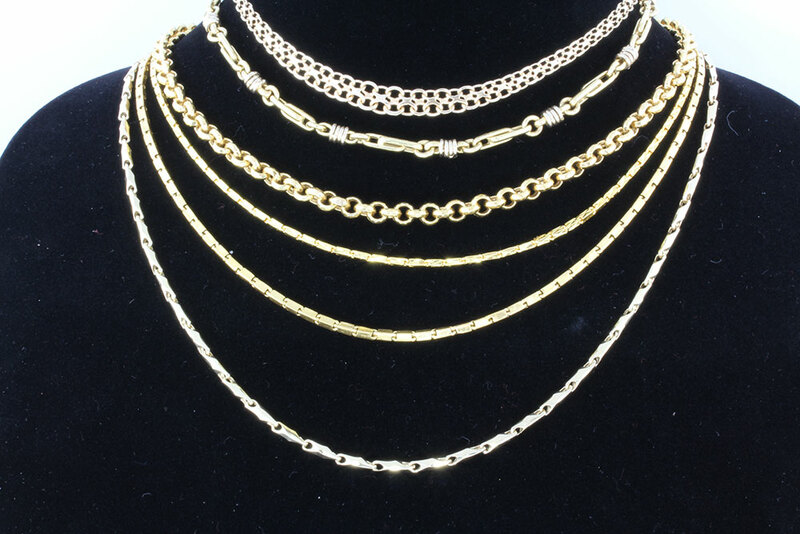 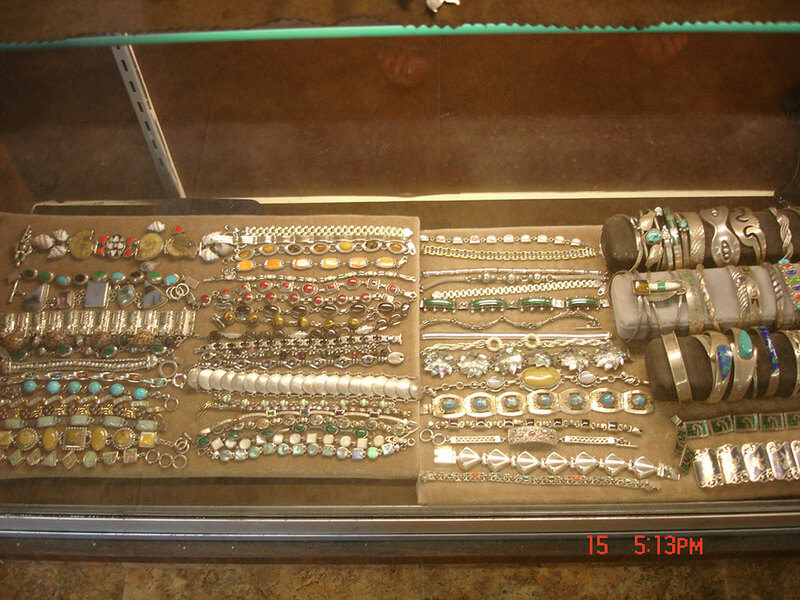 We hope you enjoy perusing our website www.EncinitasCoinandJewelry.com . 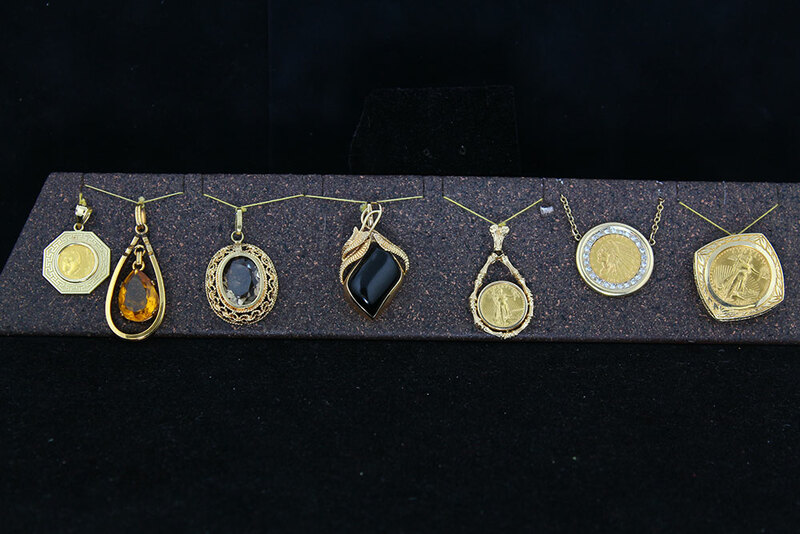 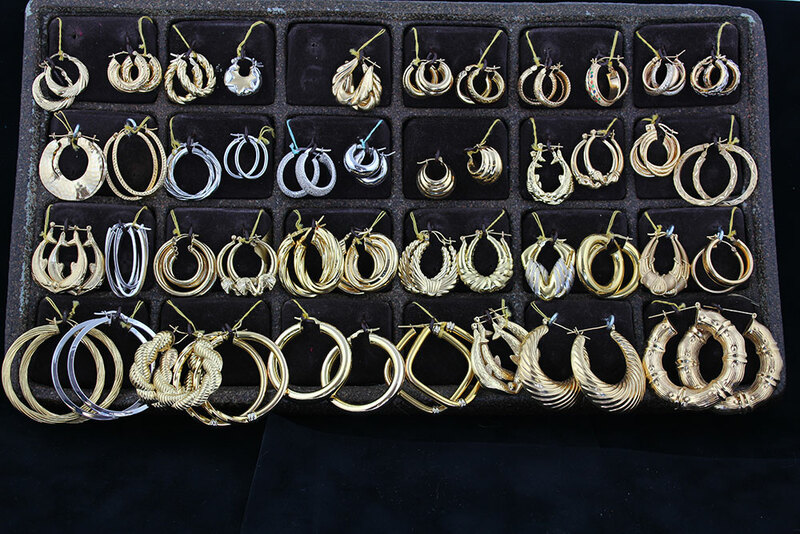 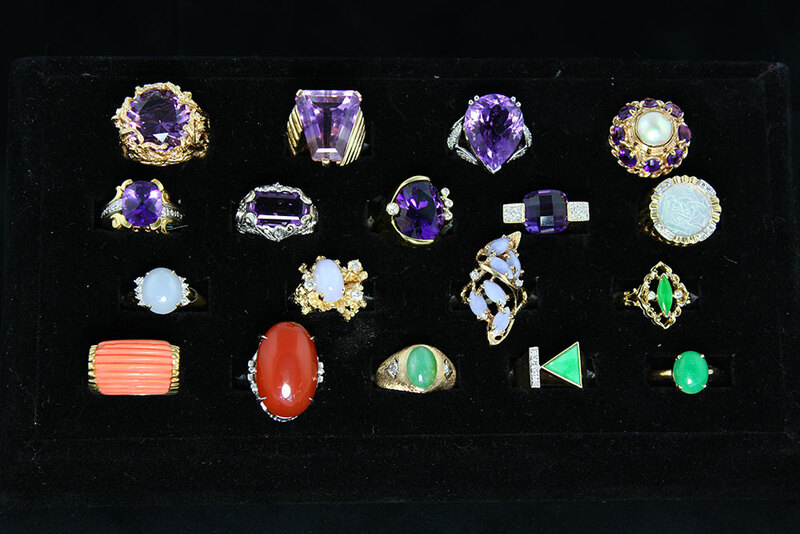 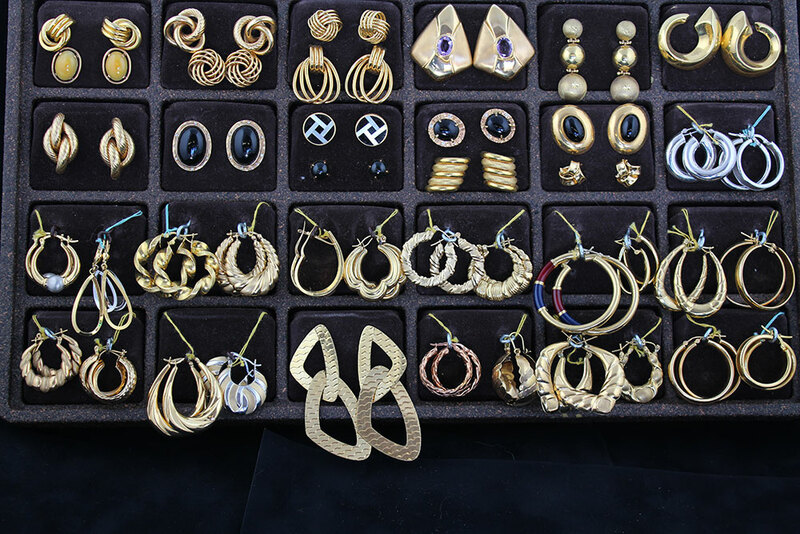 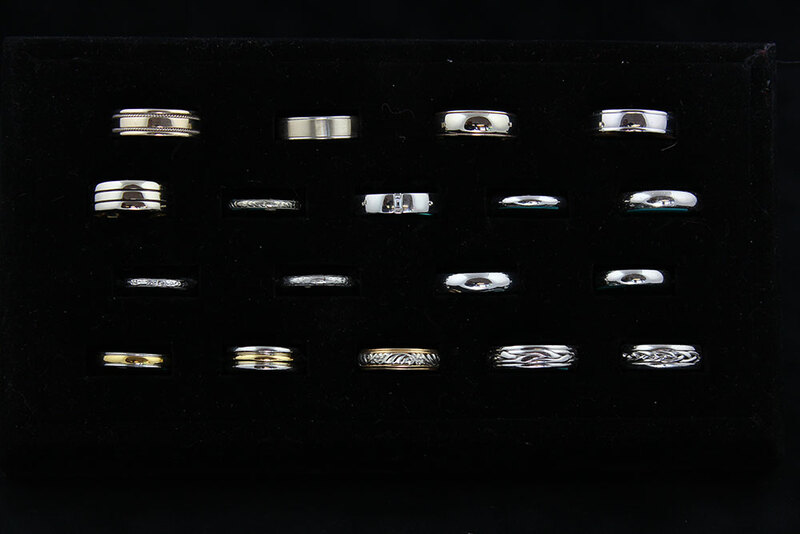 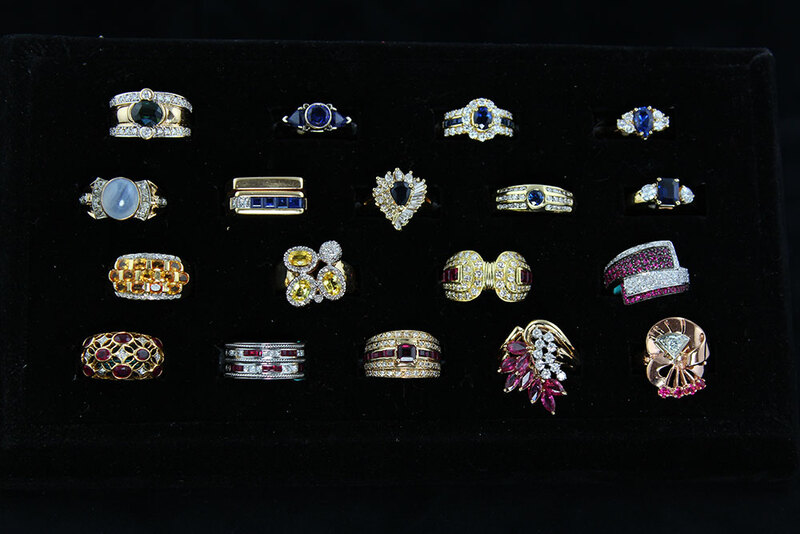 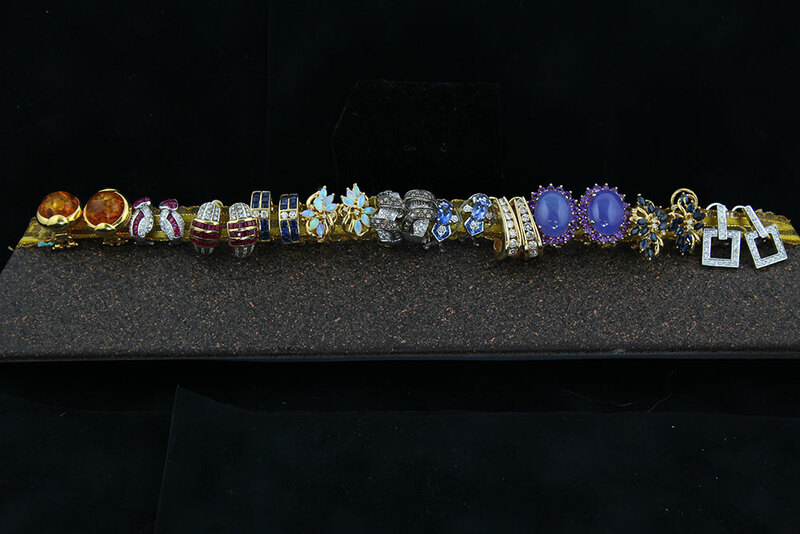 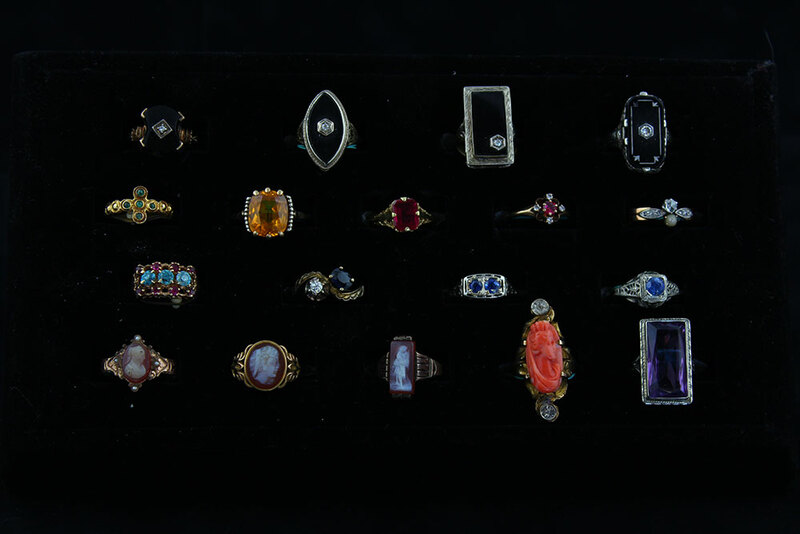 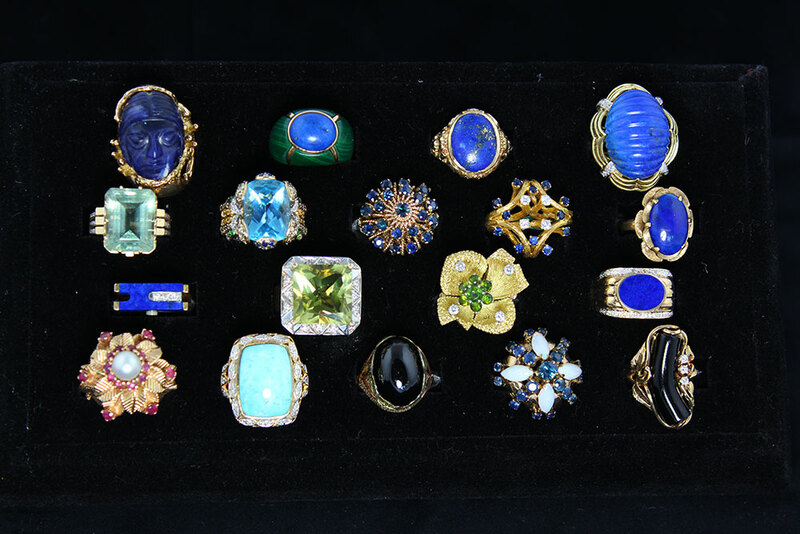 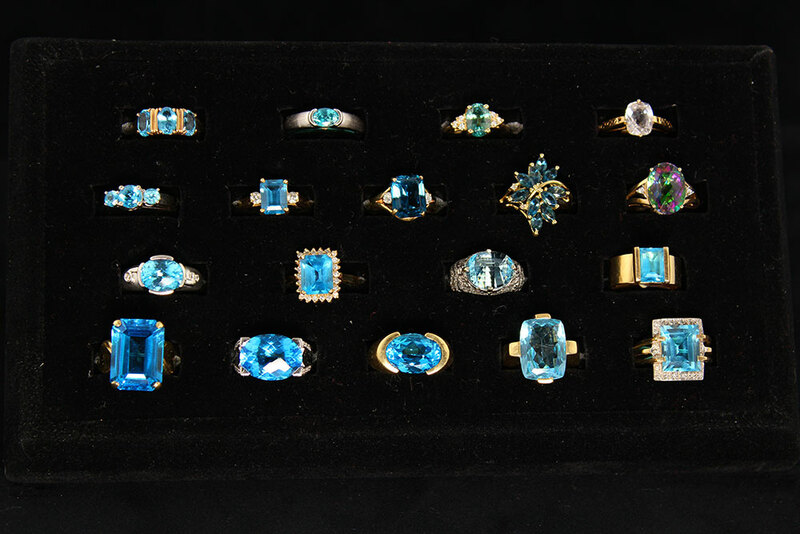 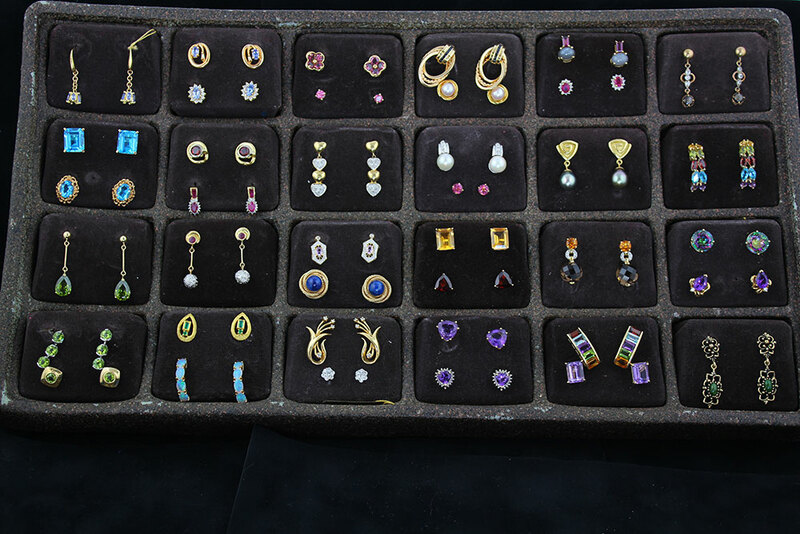 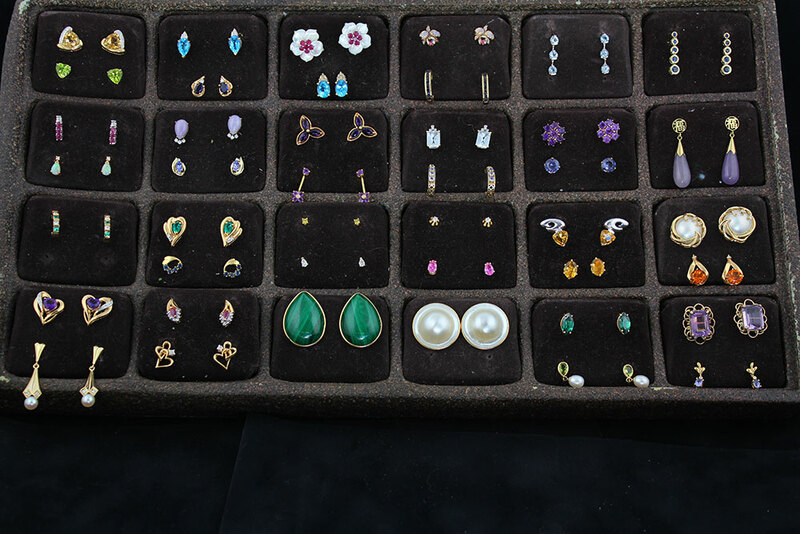 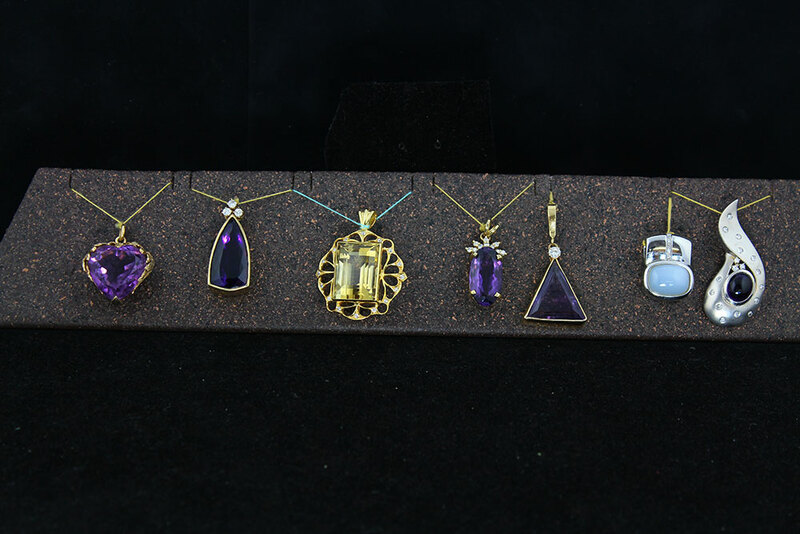 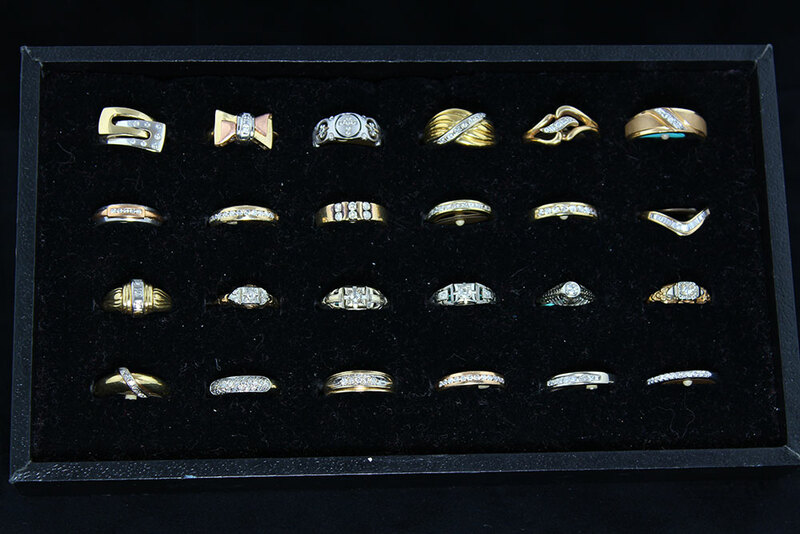 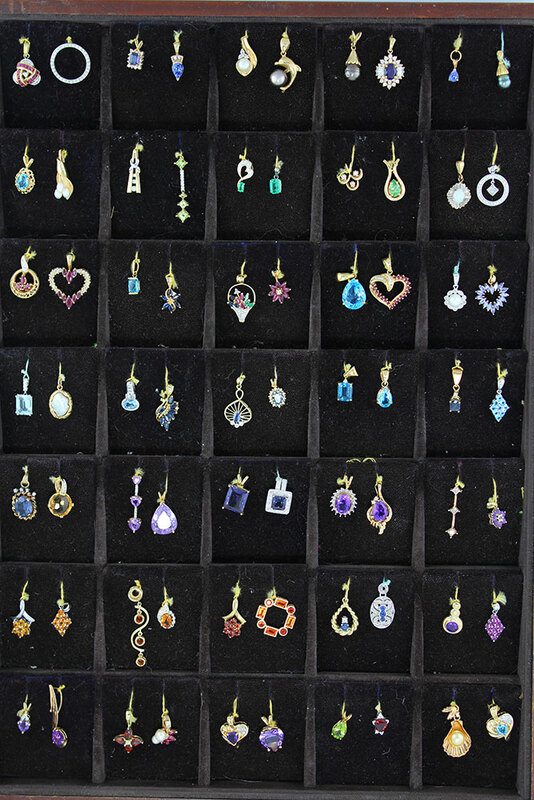 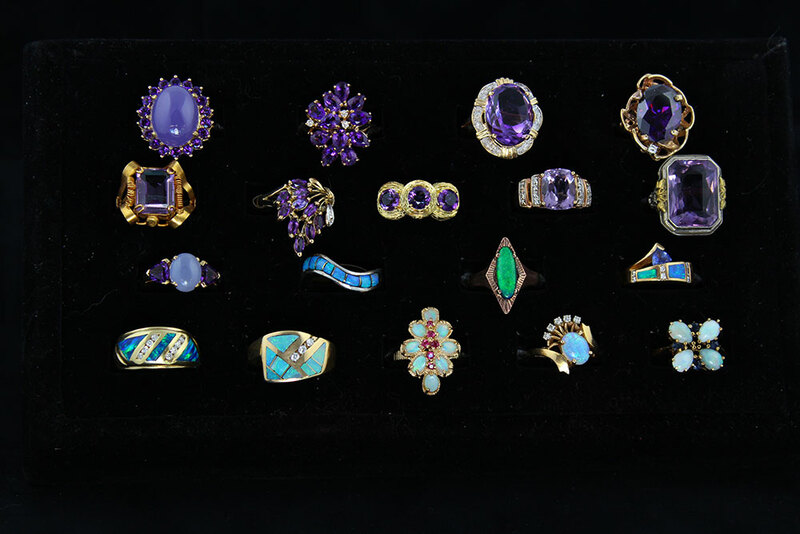 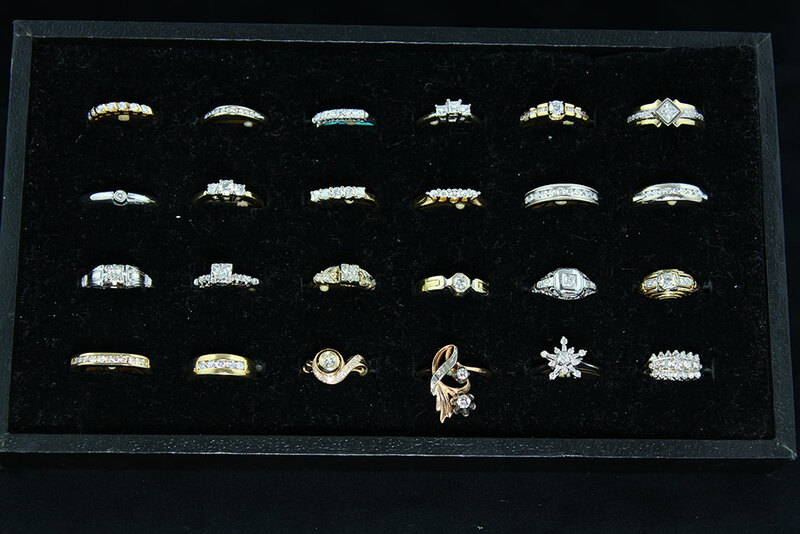 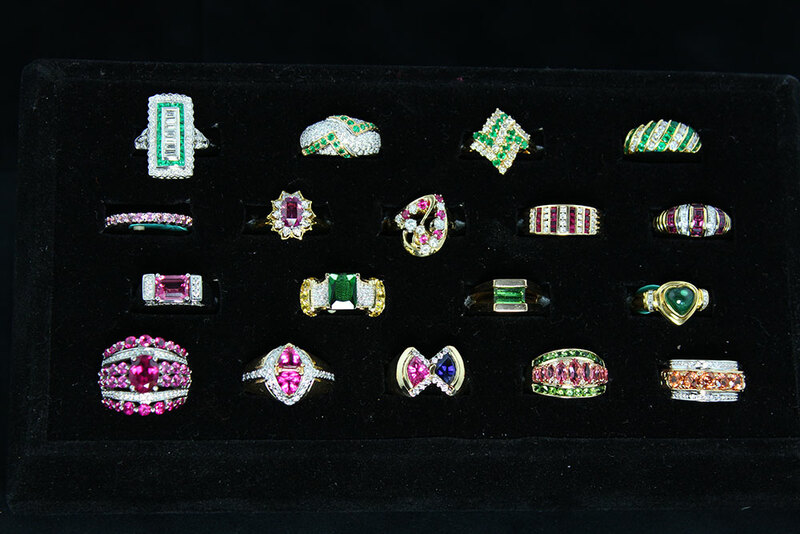 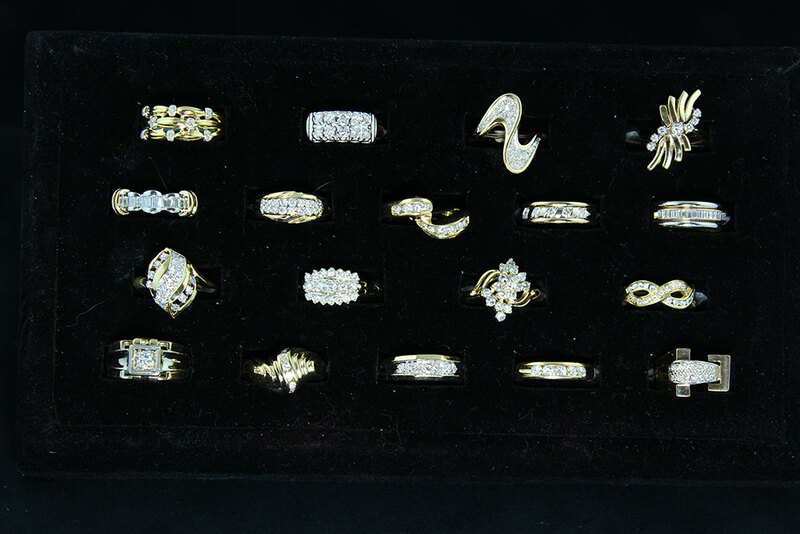 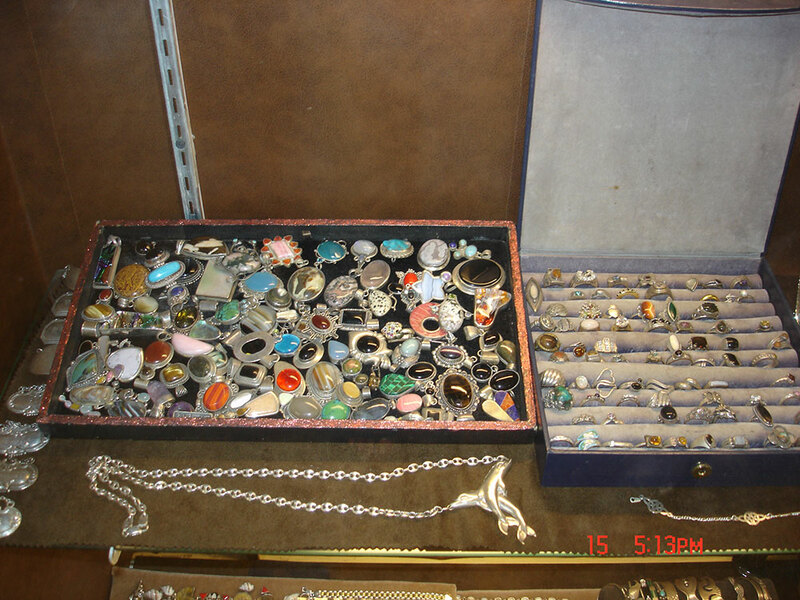 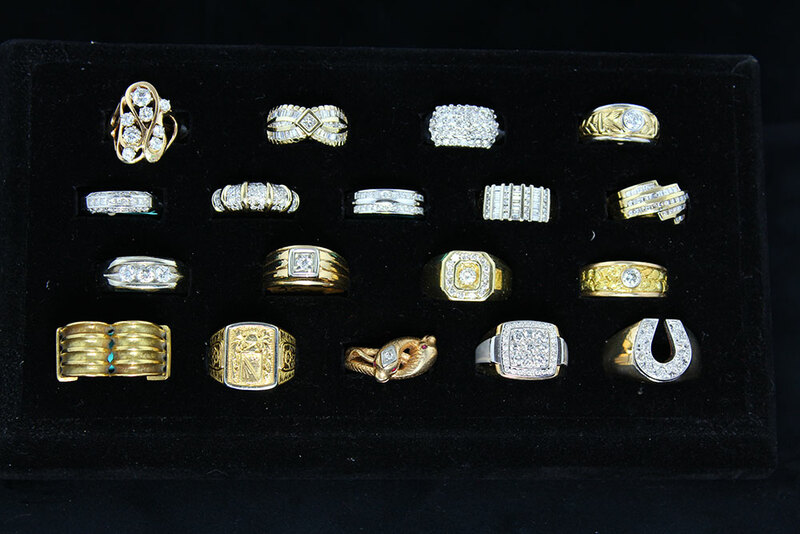 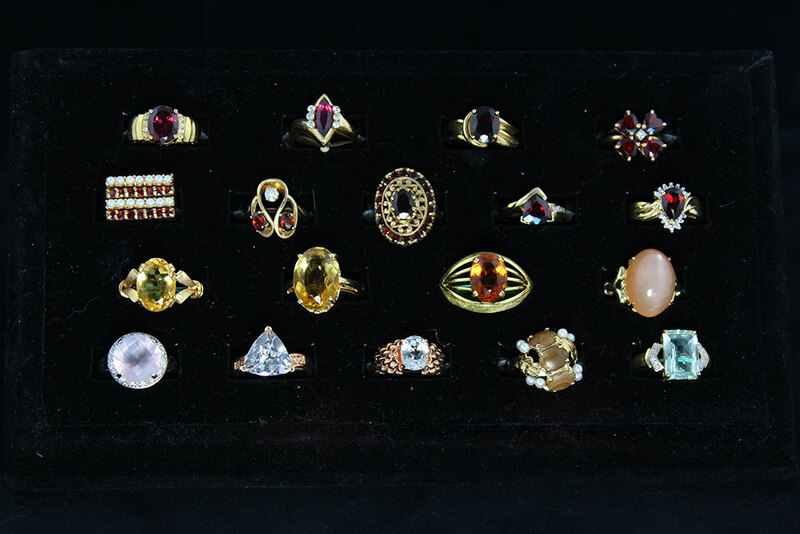 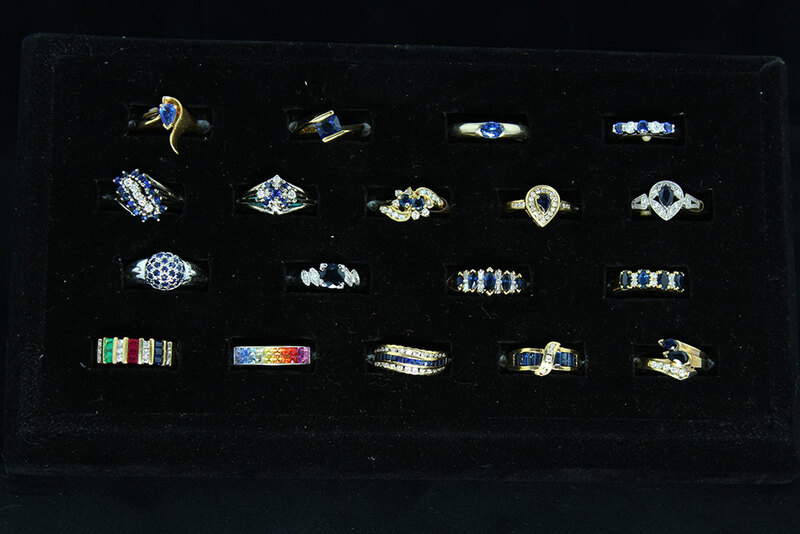 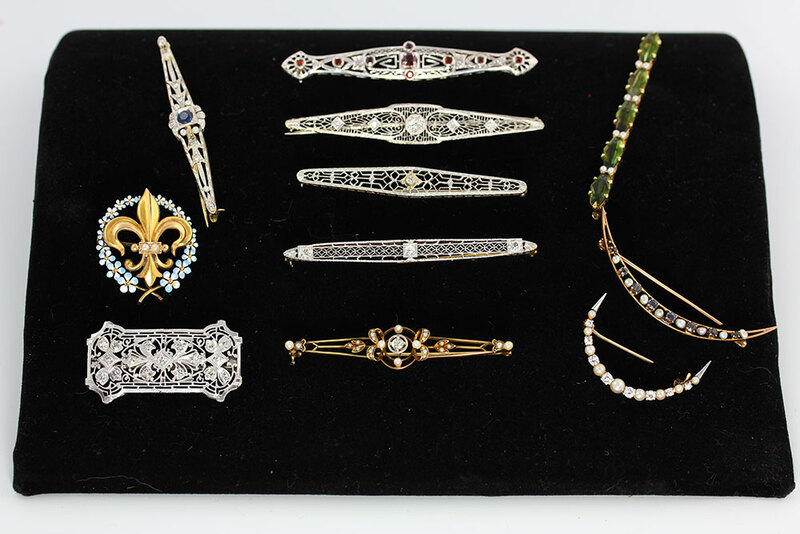 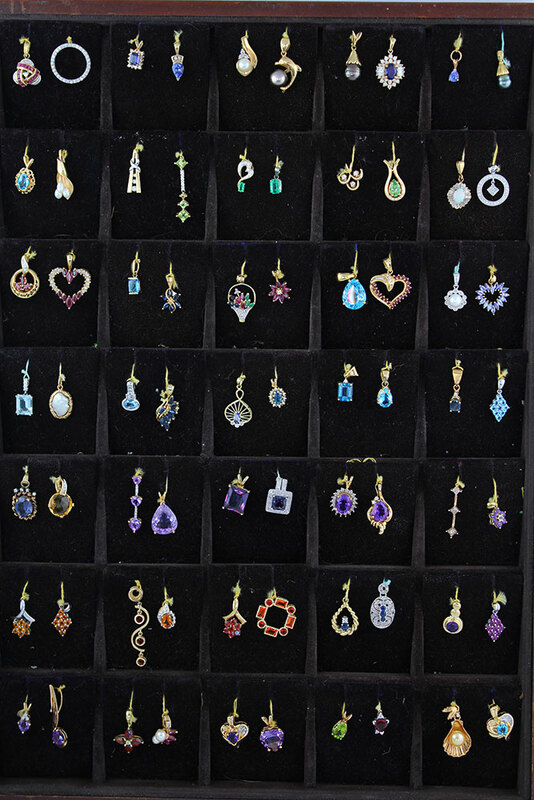 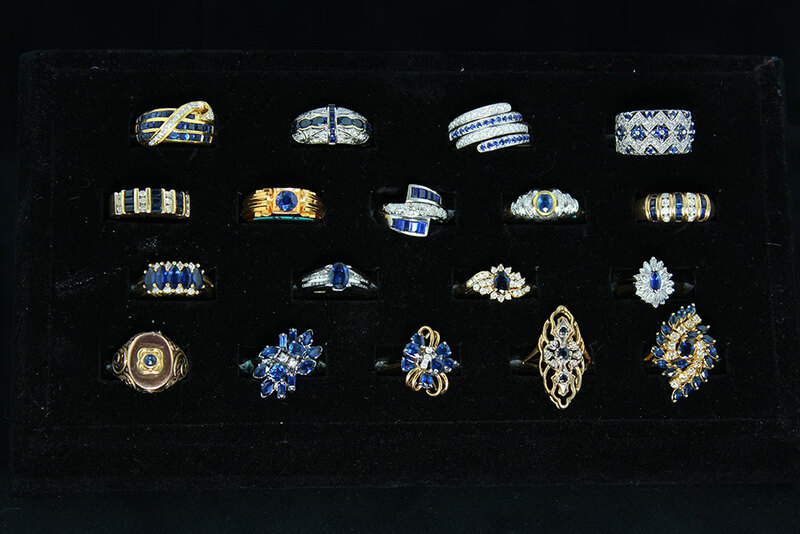 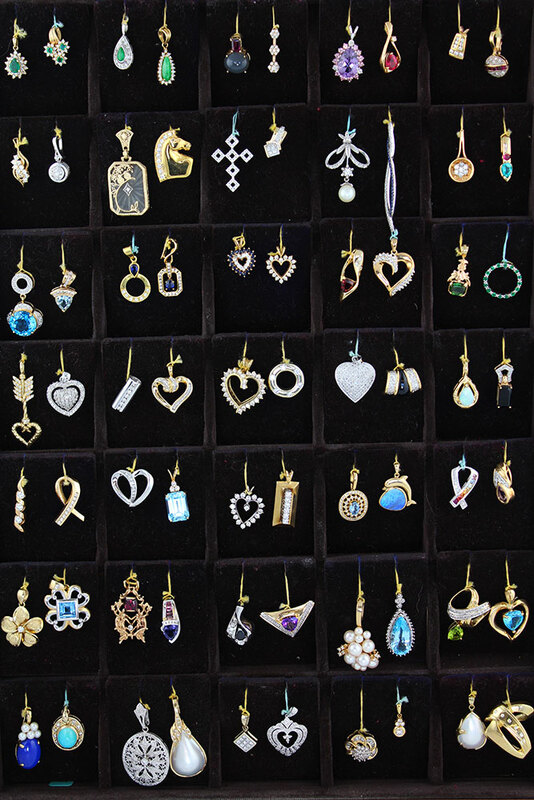 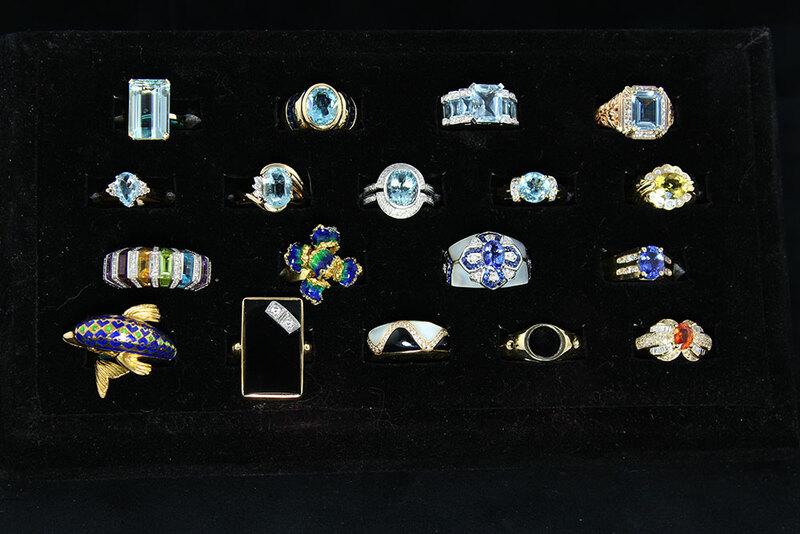 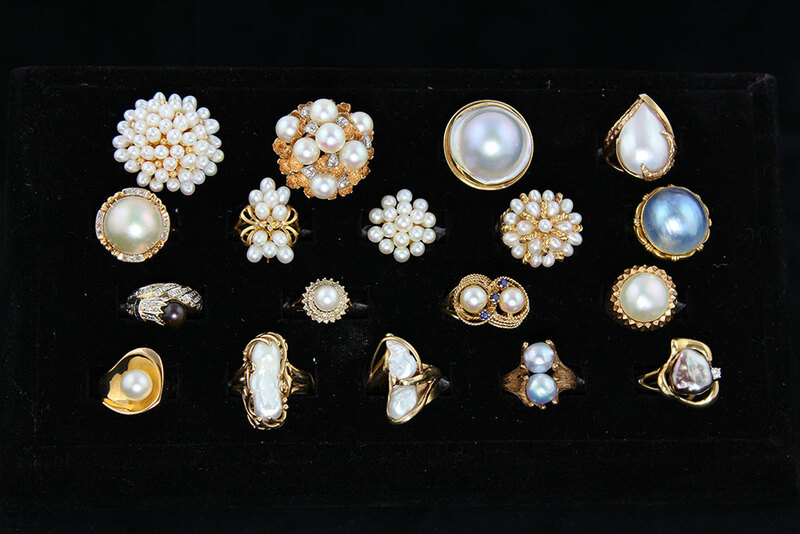 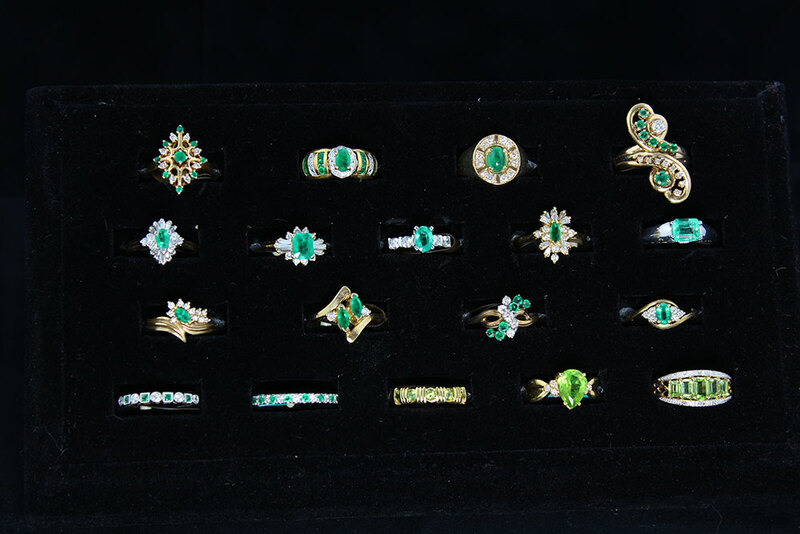 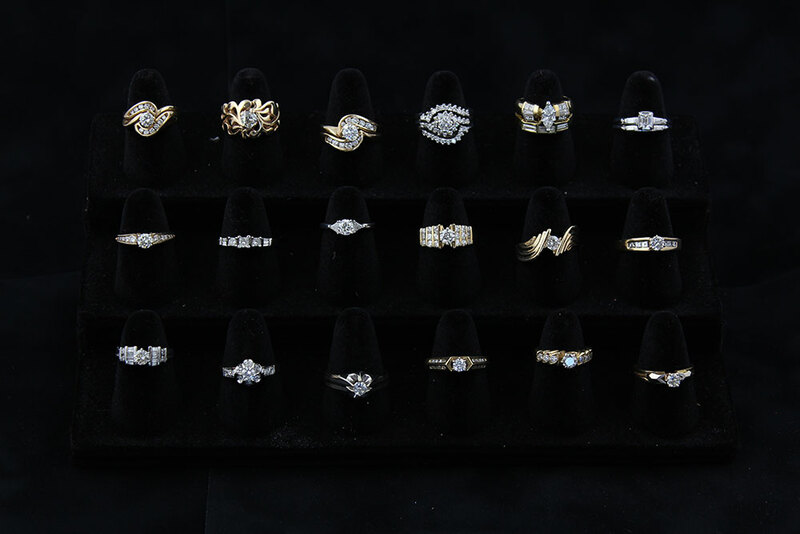 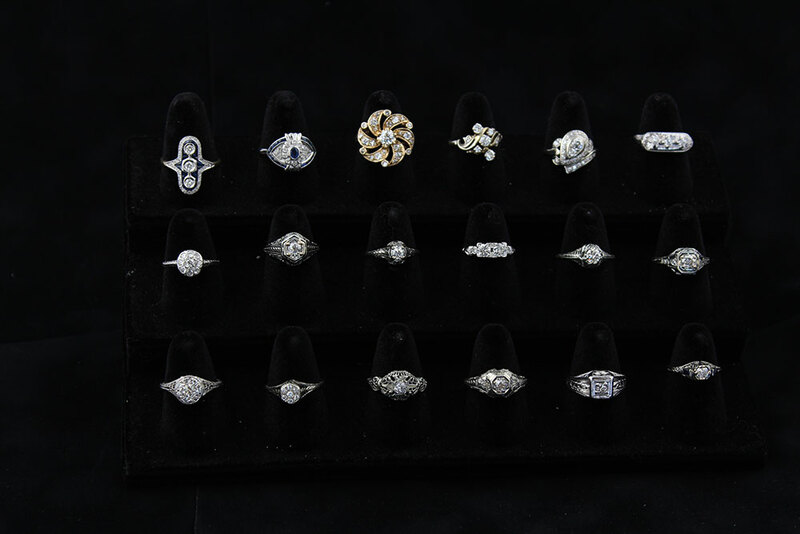 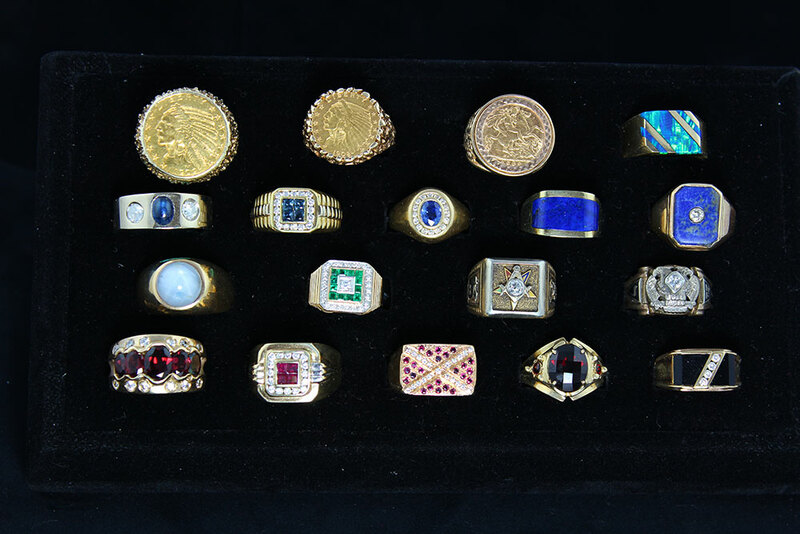 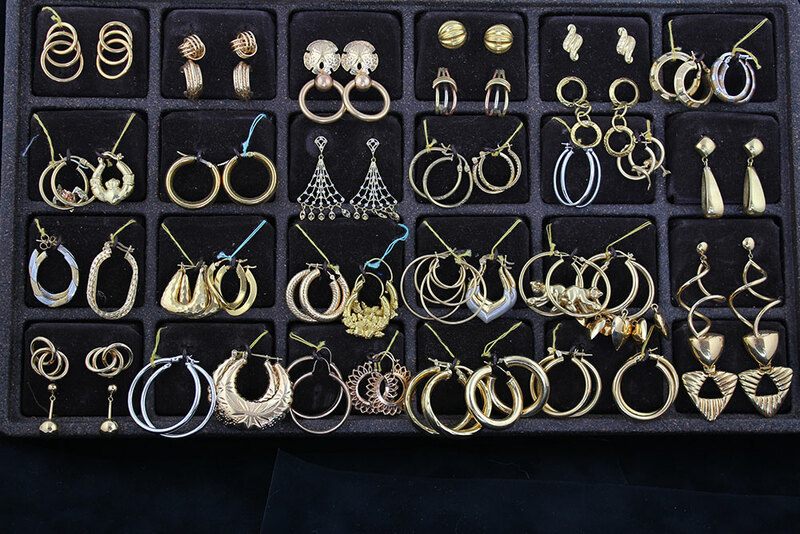 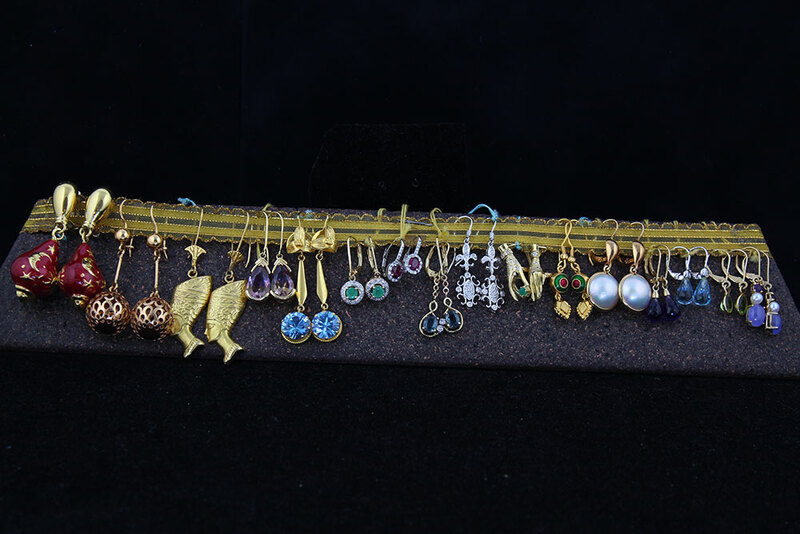 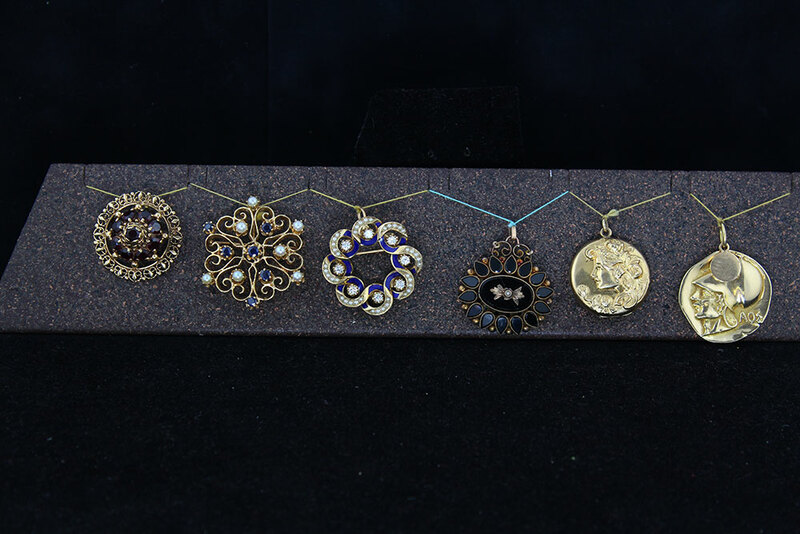 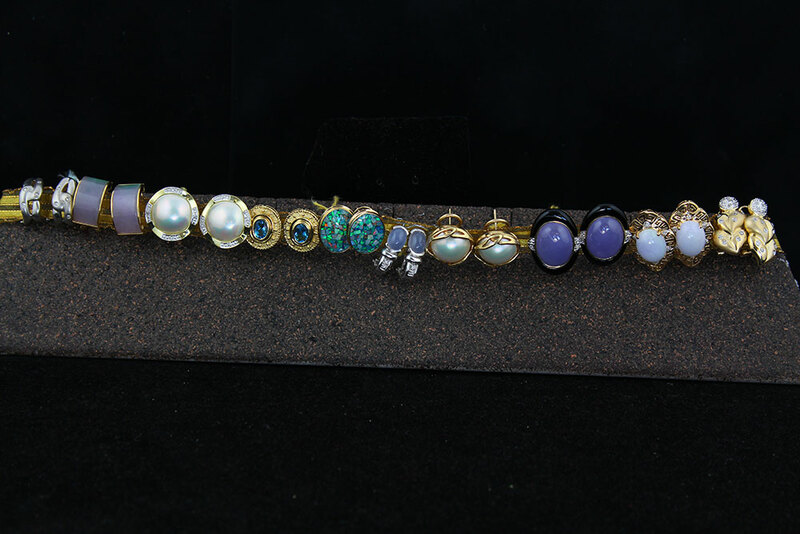 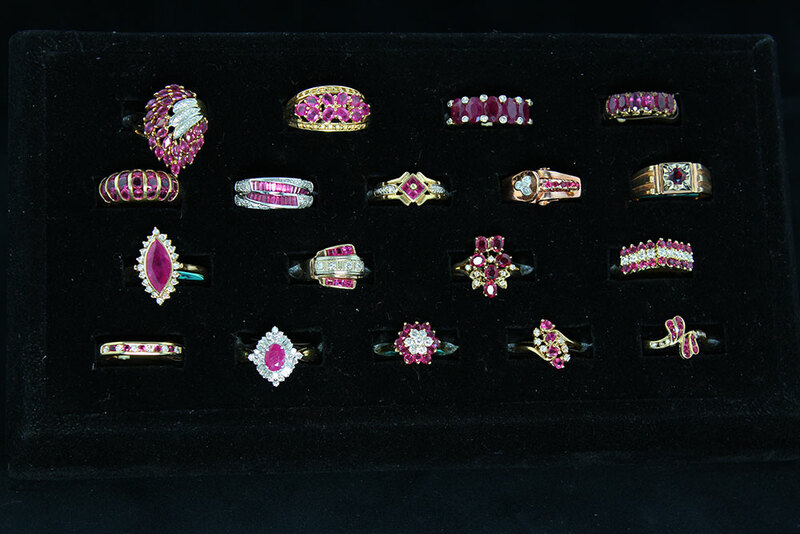 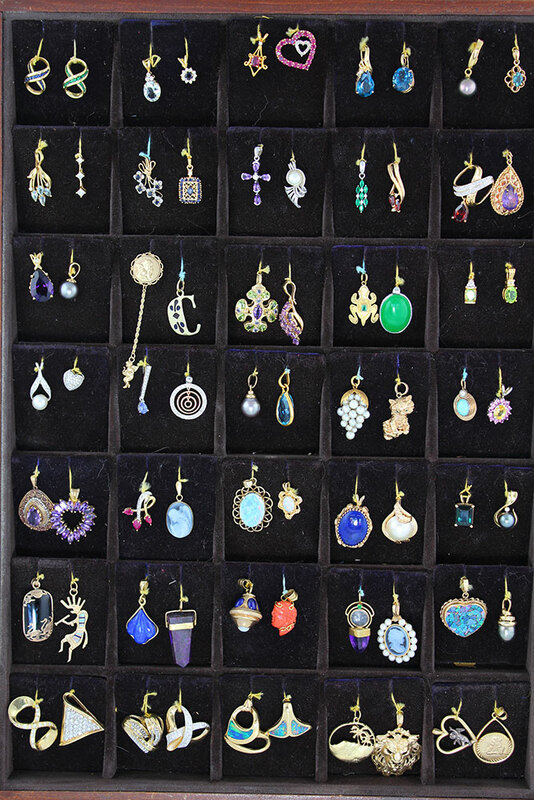 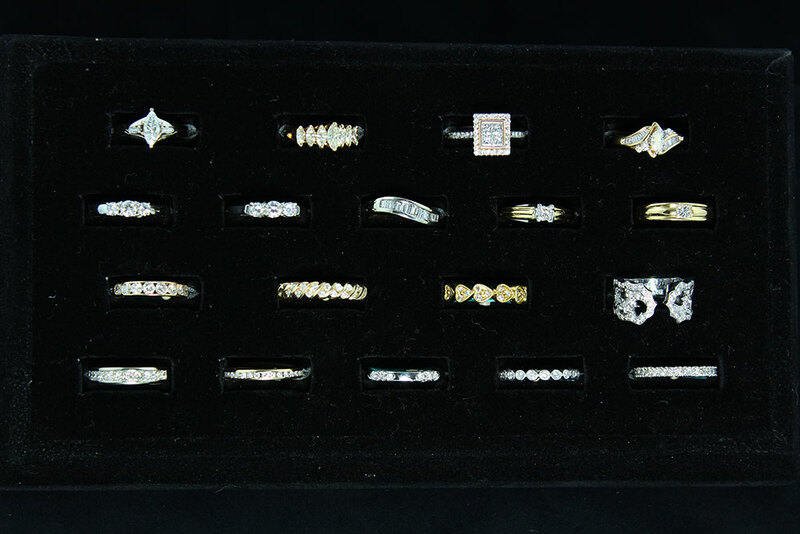 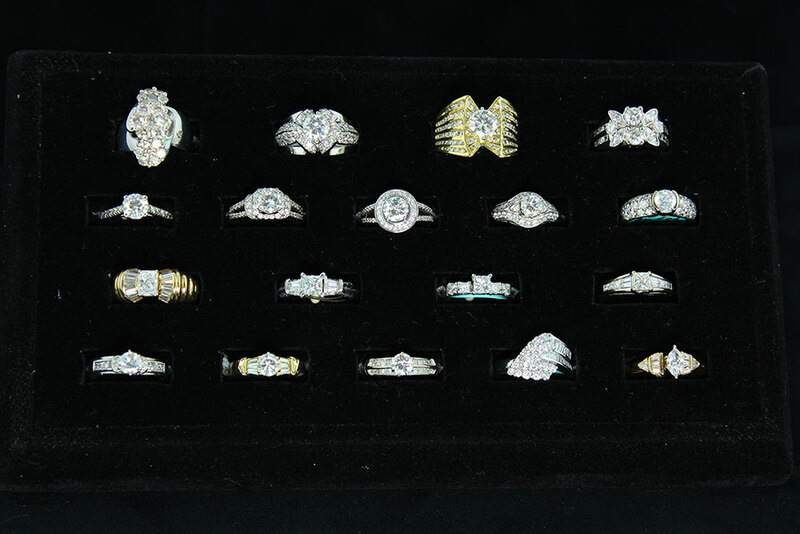 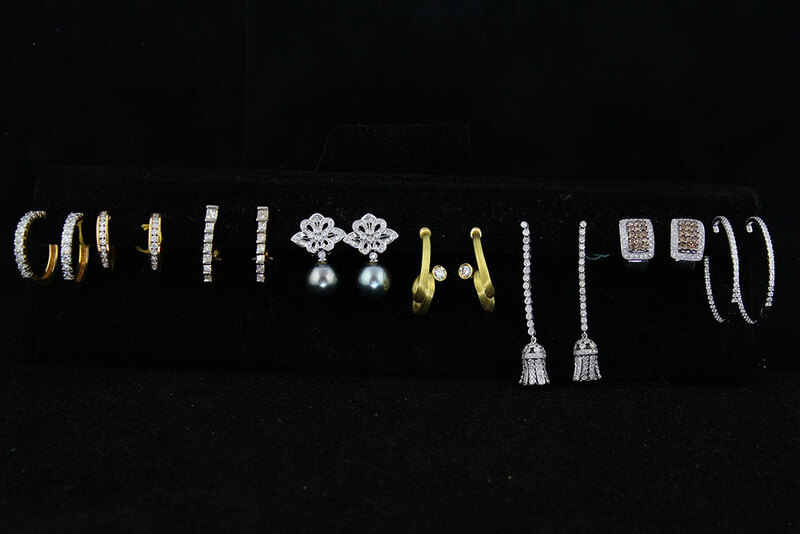 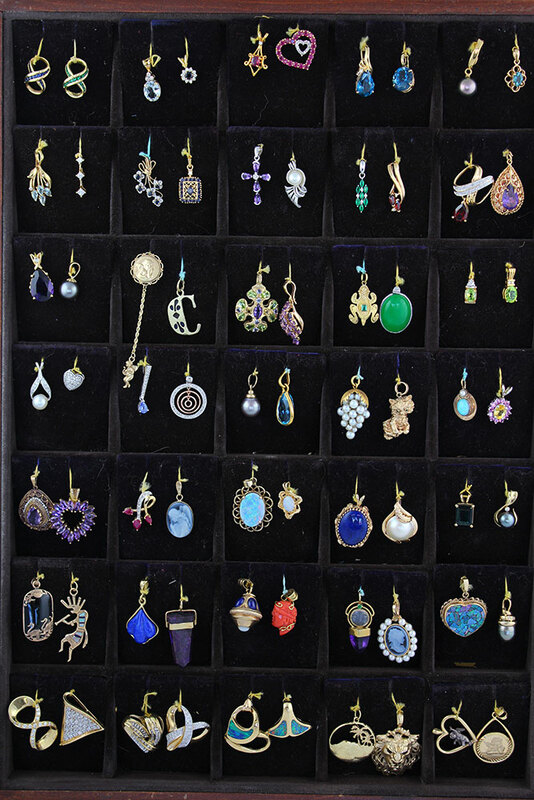 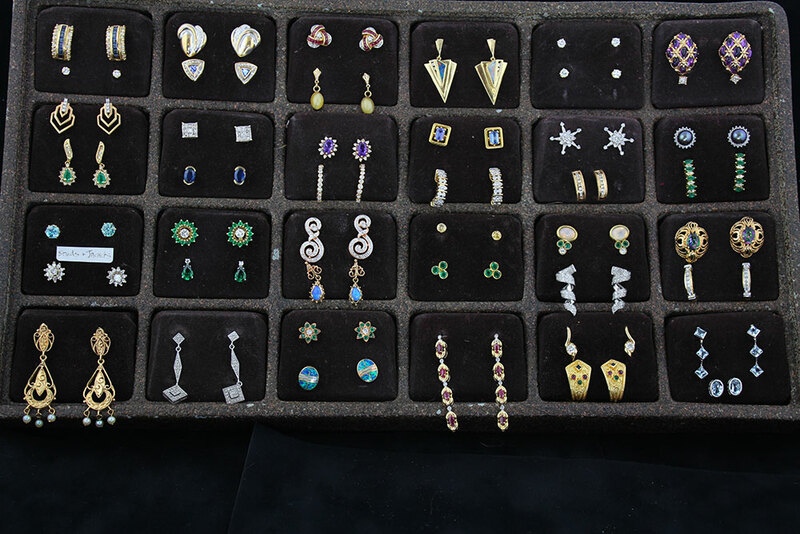 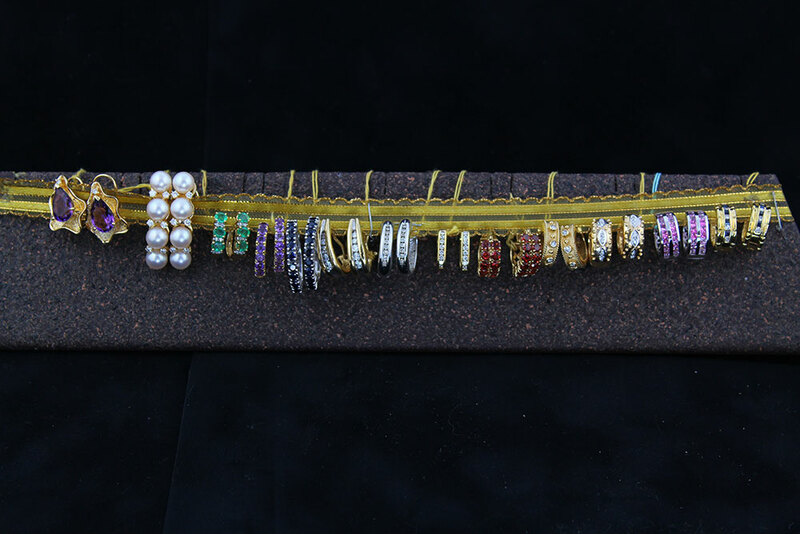 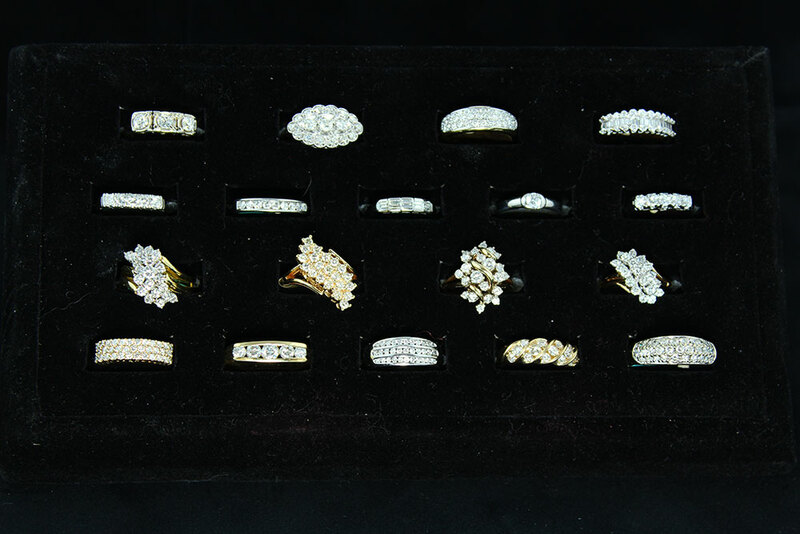 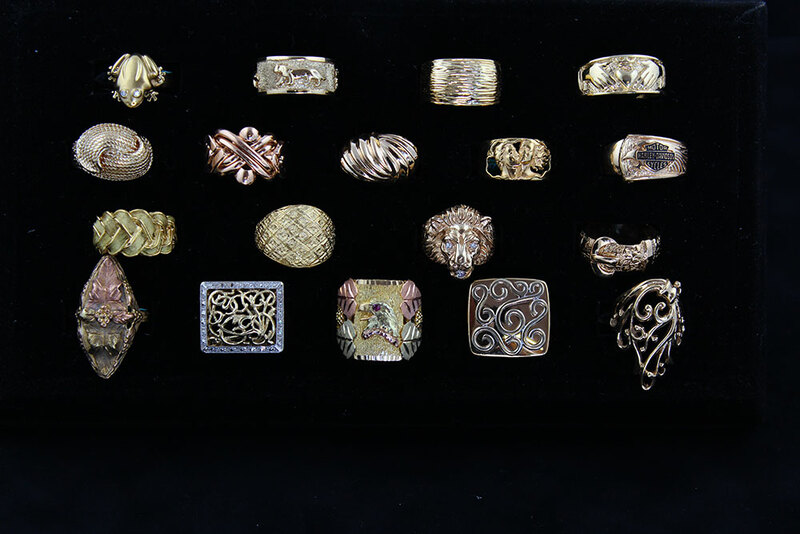 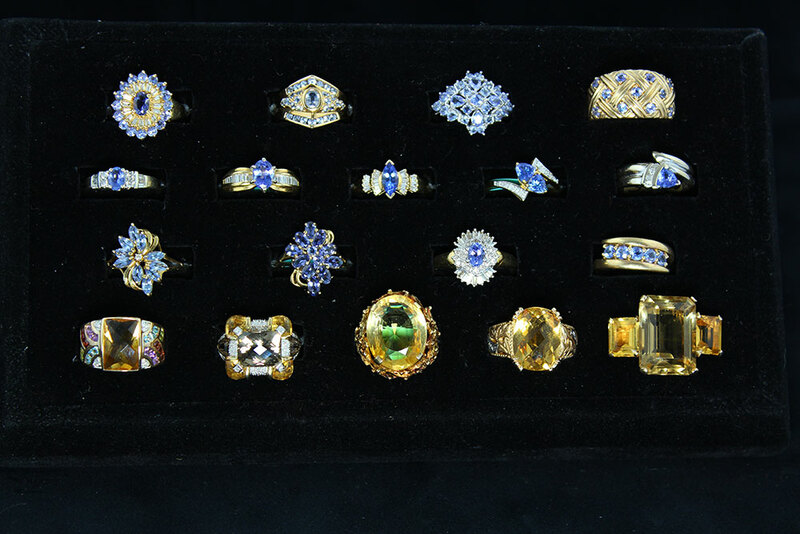 We are excited to bring you a birds-eye-view of one of the largest collections of pre-owned fine jewelry in California! 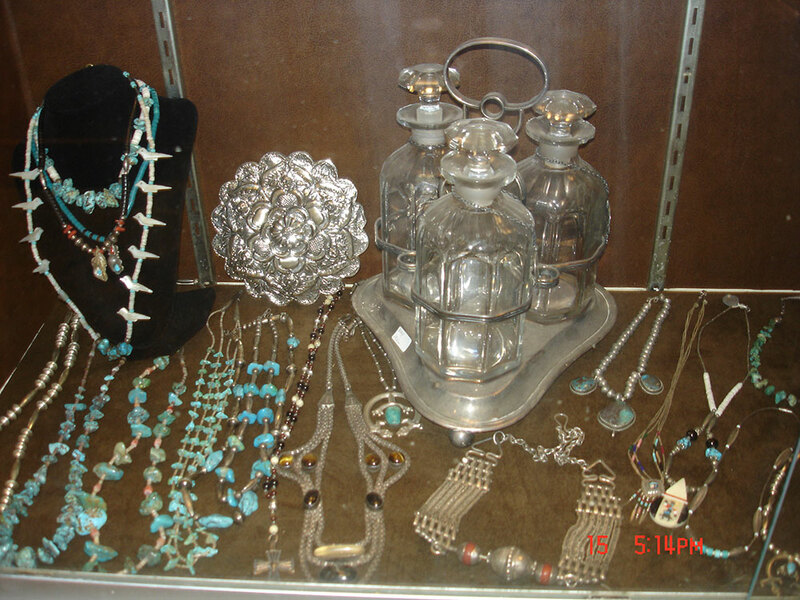 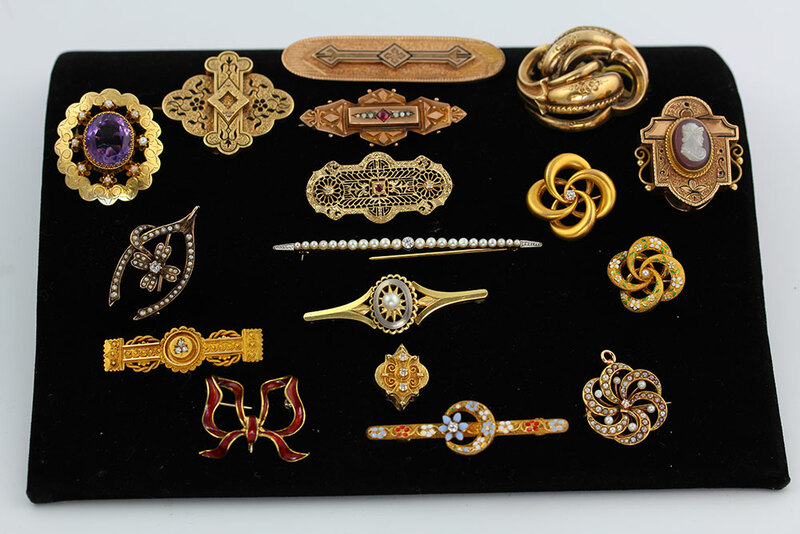 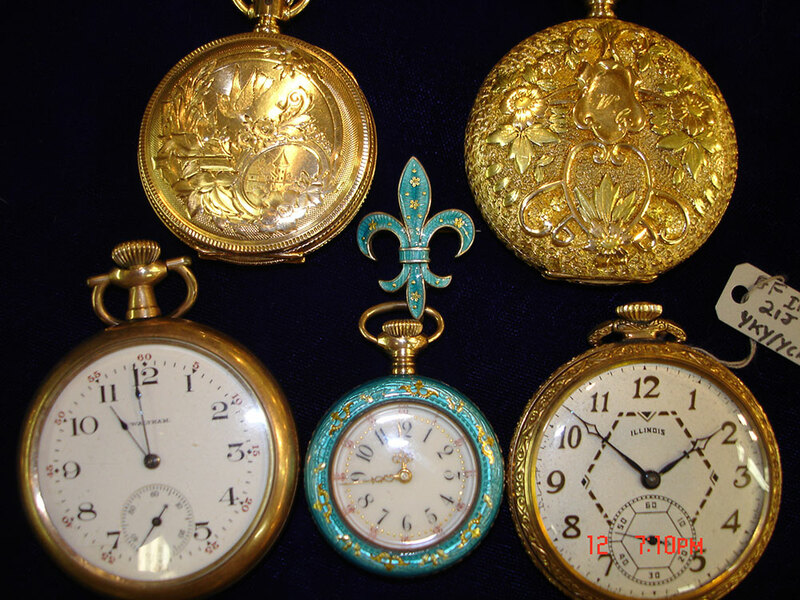 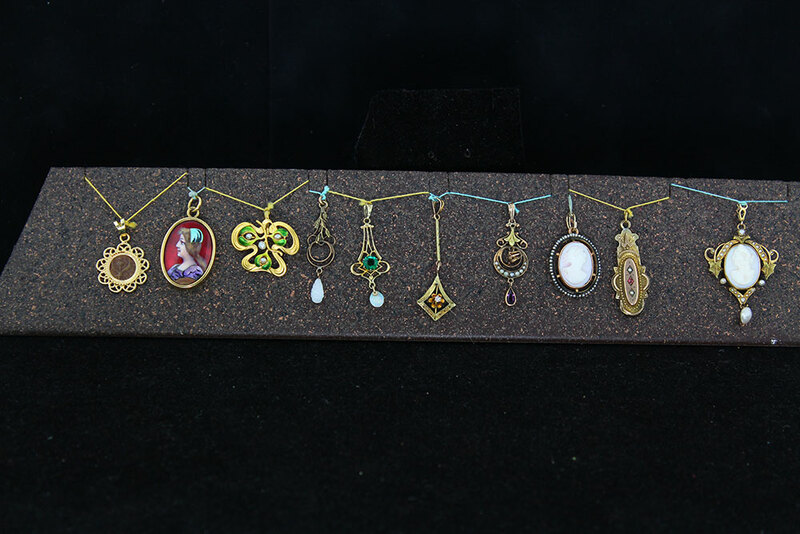 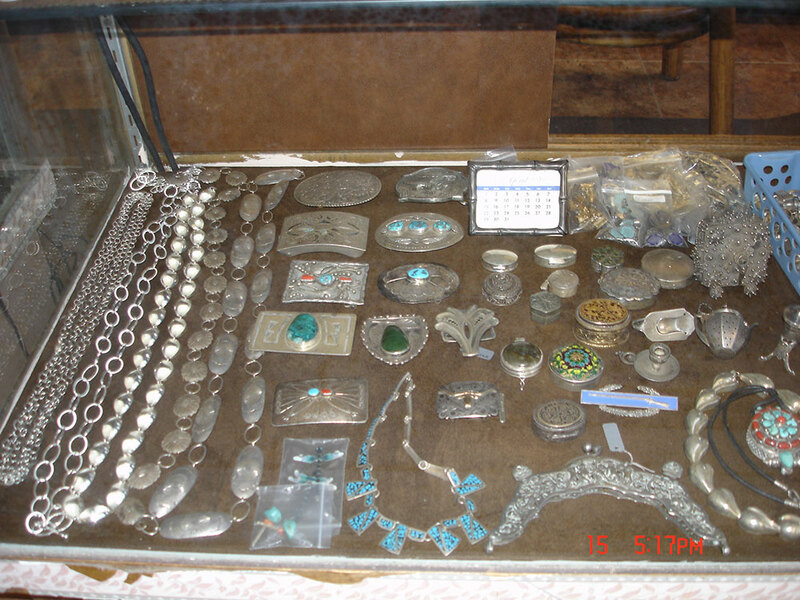 Our vast inventory of 1000’s of unique one-of-a-kind items changes daily and we add new selections weekly……..
Our site represents only a portion of our inventory, so you will need to come visit us often! 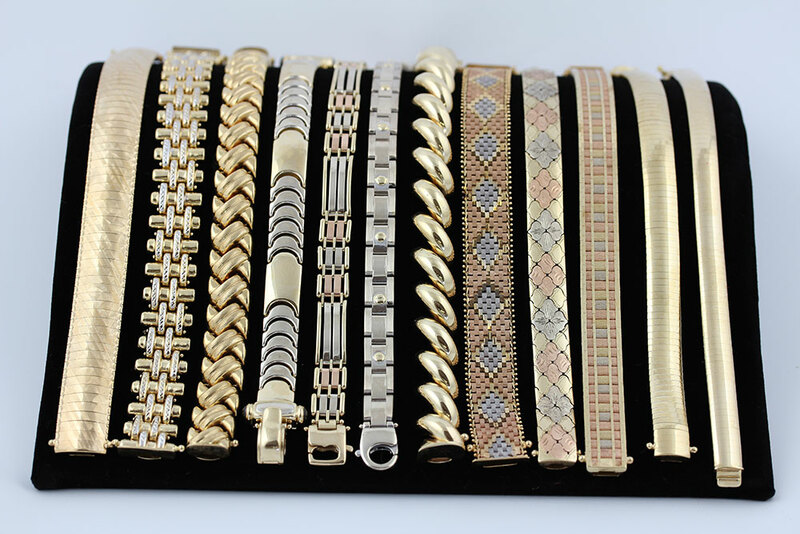 Latest News, Shows, Promotions, Sales.